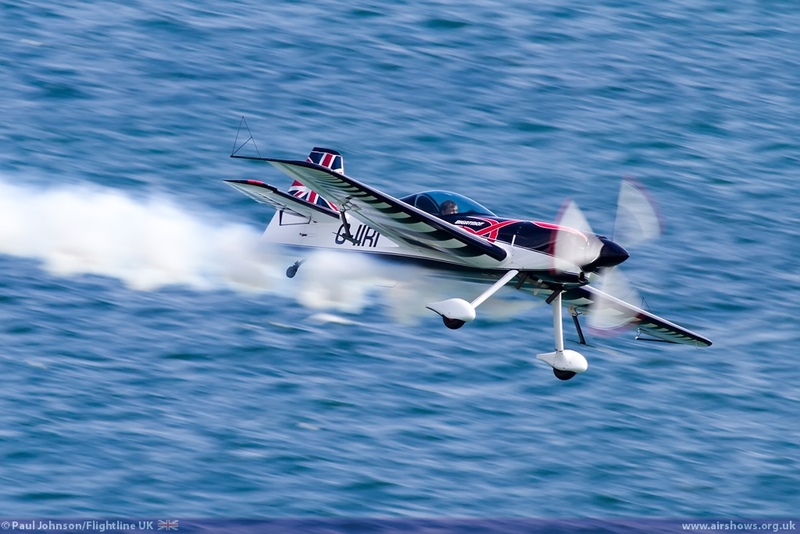 The Bournemouth Air Festival has rapidly become one of the biggest and best seaside airshows in the UK since it started in 2008. 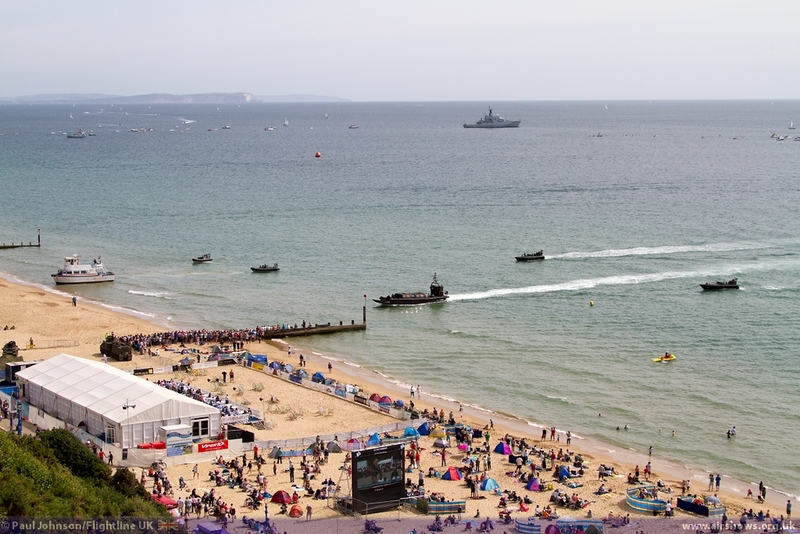 Held along Bournemouth’s sandy beaches between Boscombe and Bournemouth Piers the show has attracted over 1.3million over four days at past events. It is also more of the more innovative events with air displays, concerts and other entertainment that runs right into the evening making the Air Festival a very complete package for the town’s visitors. 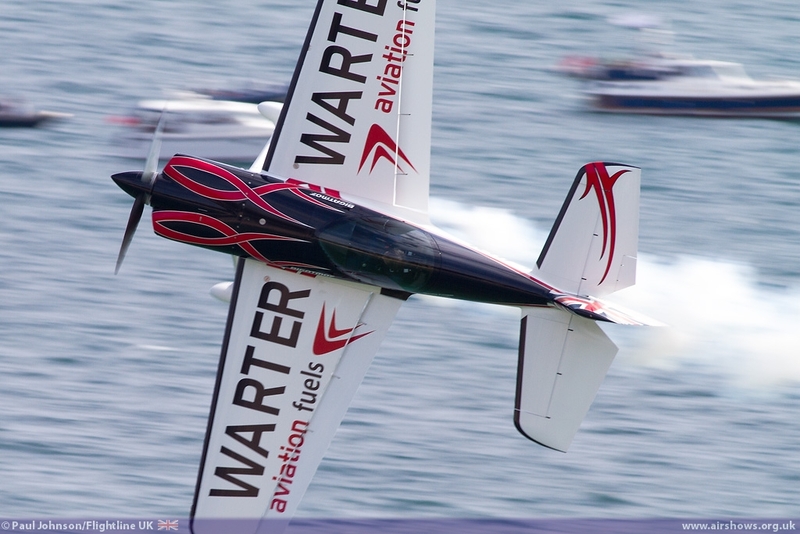 In 2008 when the Bournemouth Air Festival I have to admit I had my doubts that the event would even survive. 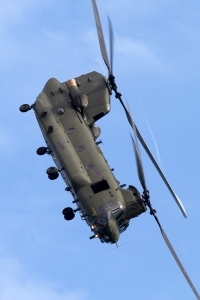 How wrong I was! 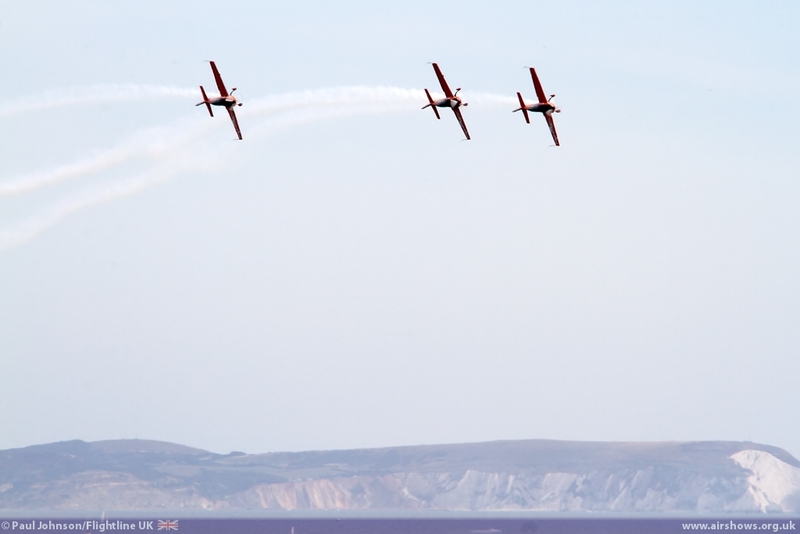 Five years later via some very big highs and deep lows Bournemouth Air Festival is very much one of the events of the summer. 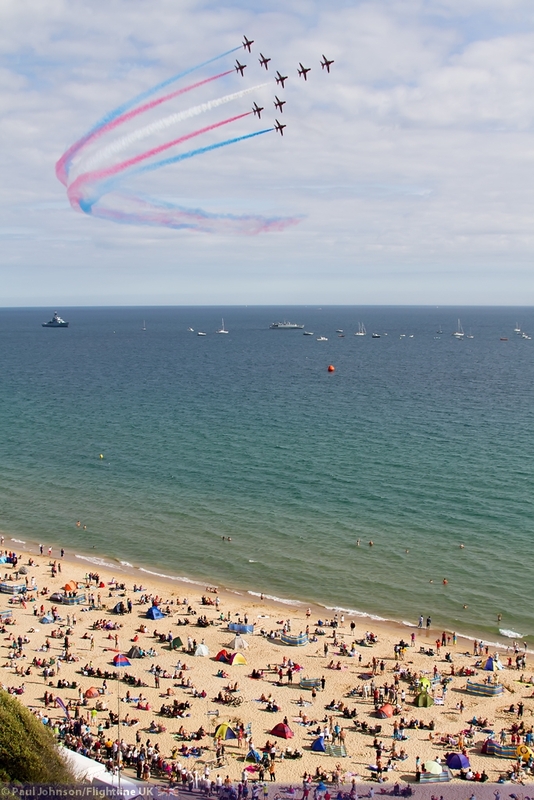 There is no doubt that Bournemouth is a great venue for an airshow. 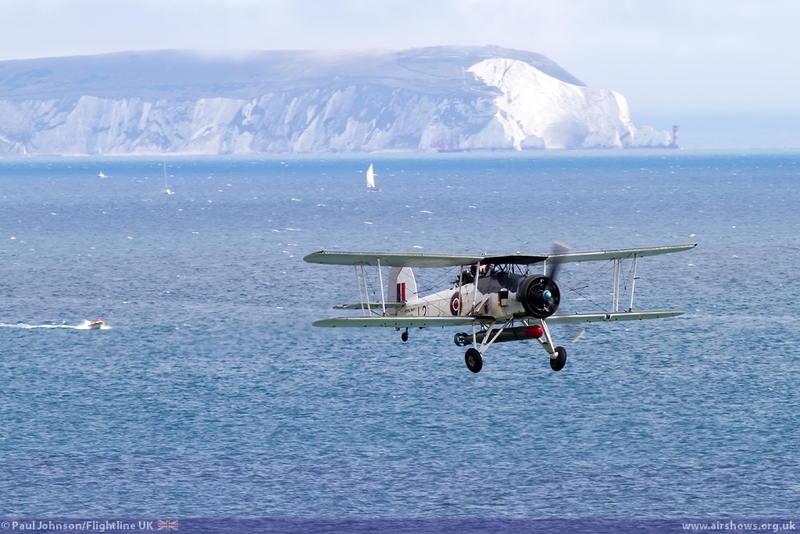 Rich sandy beaches and the cliff-top promenades provide a great amphitheatre for the displays which take place against the backdrop of the Isle of Wight to the east and the Isle of Purbeck to the west. 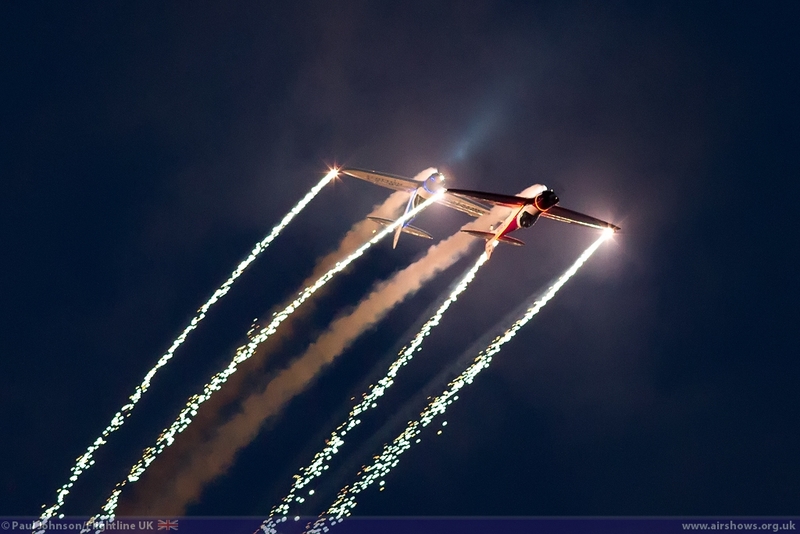 However, it the innovative nature of this show which I feel maintains its pulling power. 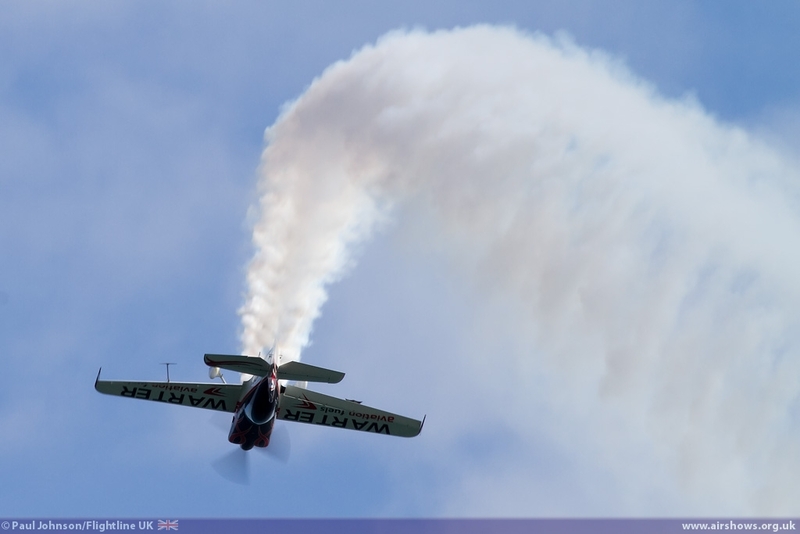 Over the years, the Air Festival has always felt fresh with new ideas being developed every year. 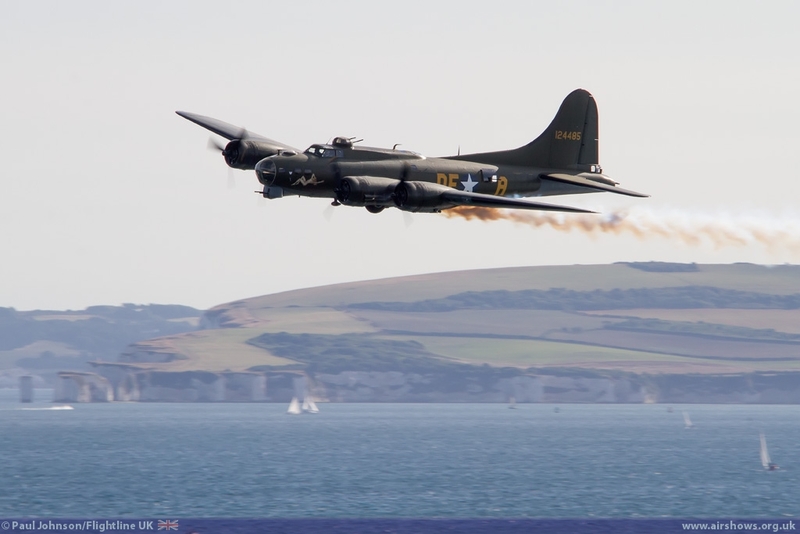 It is also good to see a lot of the town’s businesses, particularly the hotels along the cliff tops get involved with some pop-up bars and barbeques providing a very different catering experience to some other shows! 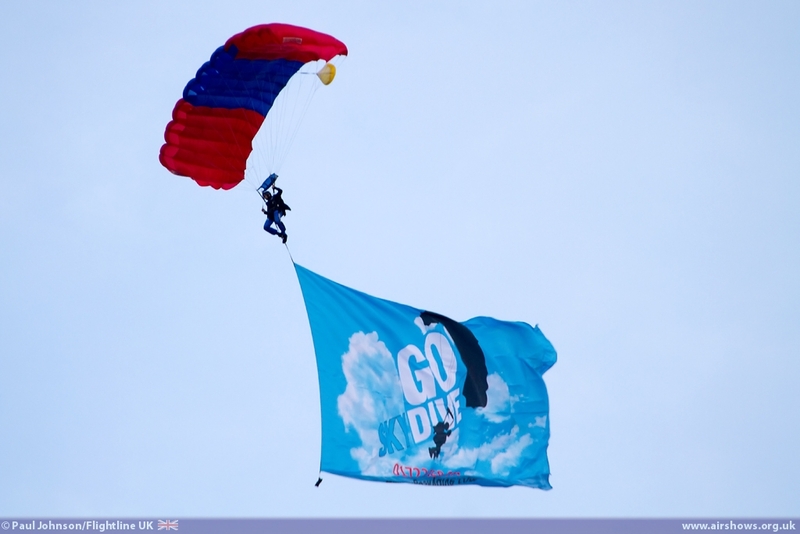 The Air Festival enjoys great support from the armed services on the ground. 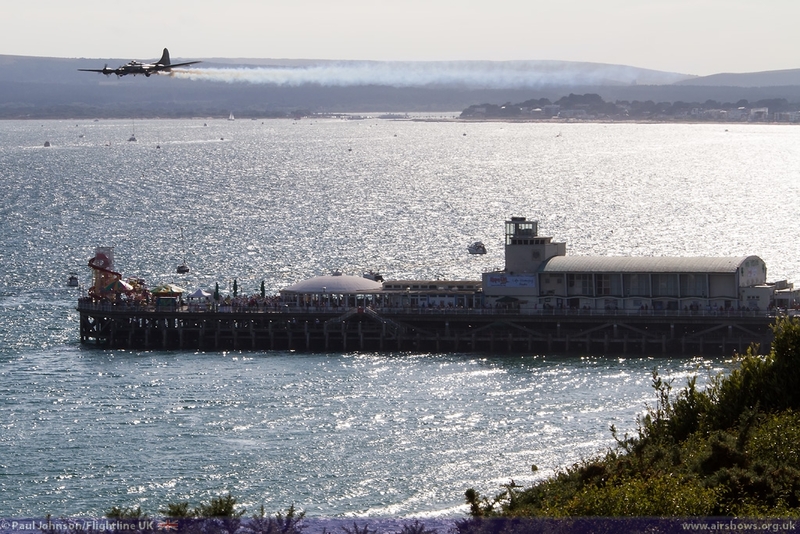 The Royal Air Force, Royal Navy and Army all have villages along the seafront with their various public relations and careers stands. 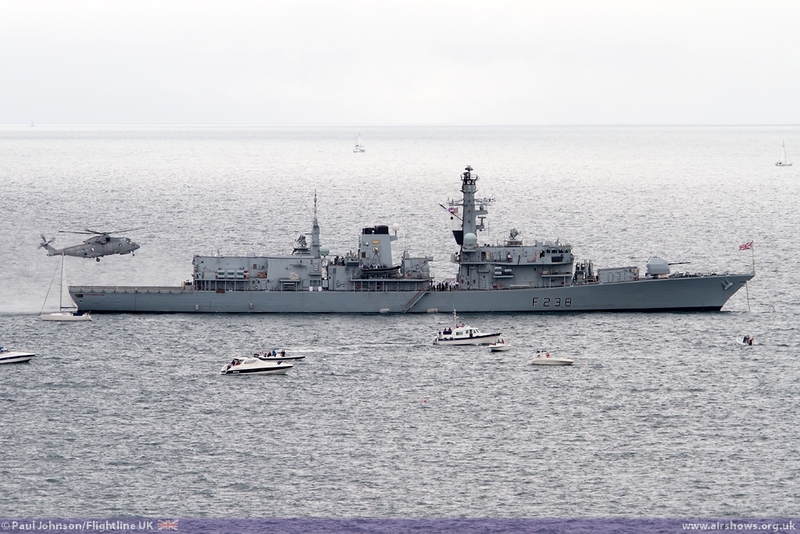 However, out to sea the Royal Navy always has some vessels on show. 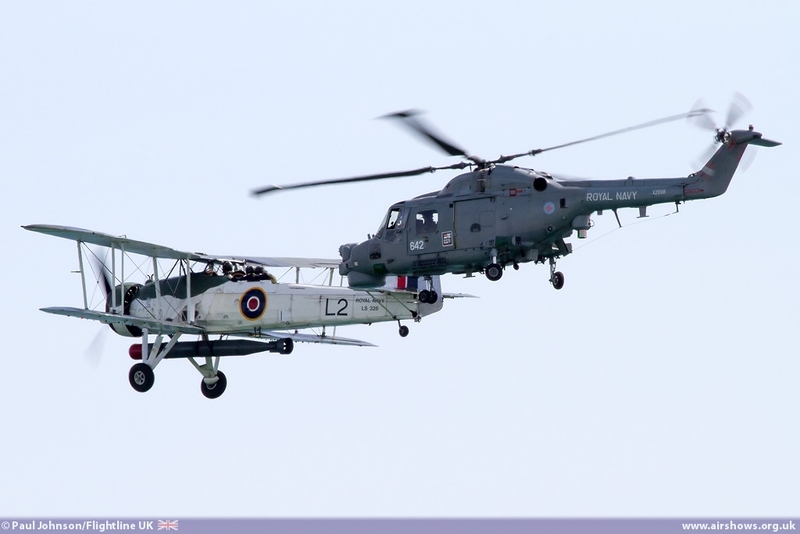 2013 saw the biggest collection of Royal Navy ships yet seen at the Air Festival. 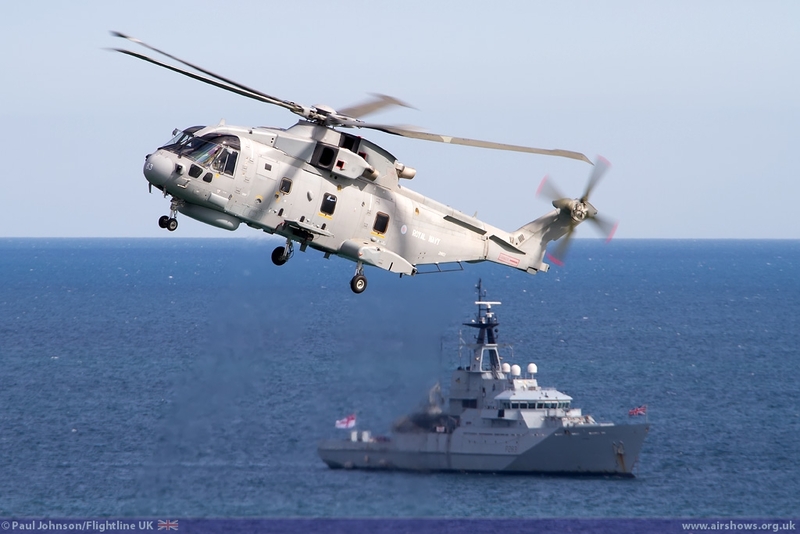 Spearheading the fleet was HMS Northumberland, a Type 23 Frigates and they were supported by HMS Brockelby, a Hunt-class Mine Countermeasures vessel. 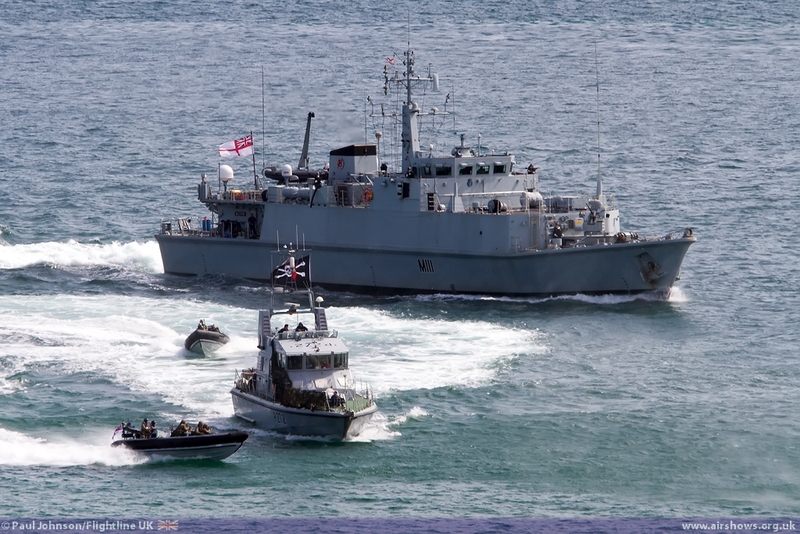 Smaller patrol vessels came in the form of HMS Blazer and HMS Smither. 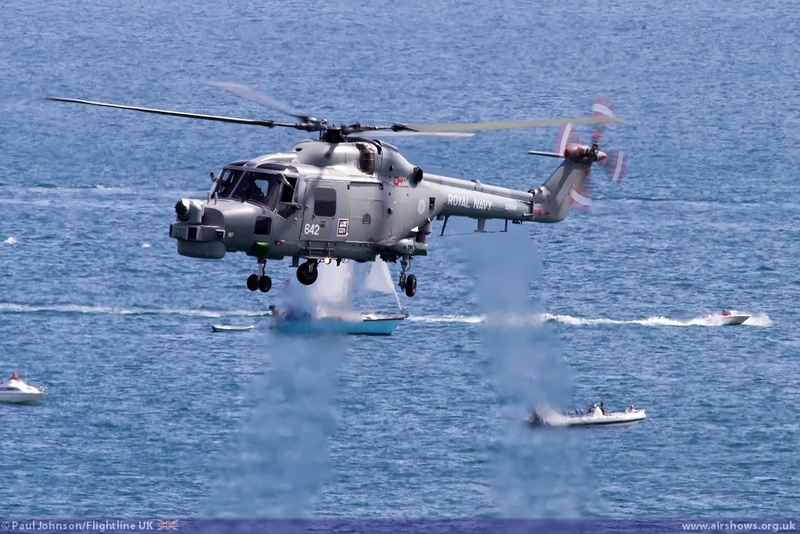 The French Navy also participated with the training tall ship L’Etolie. 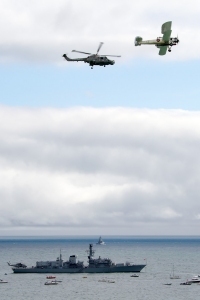 In the air, the Navy supported the event with three displays. 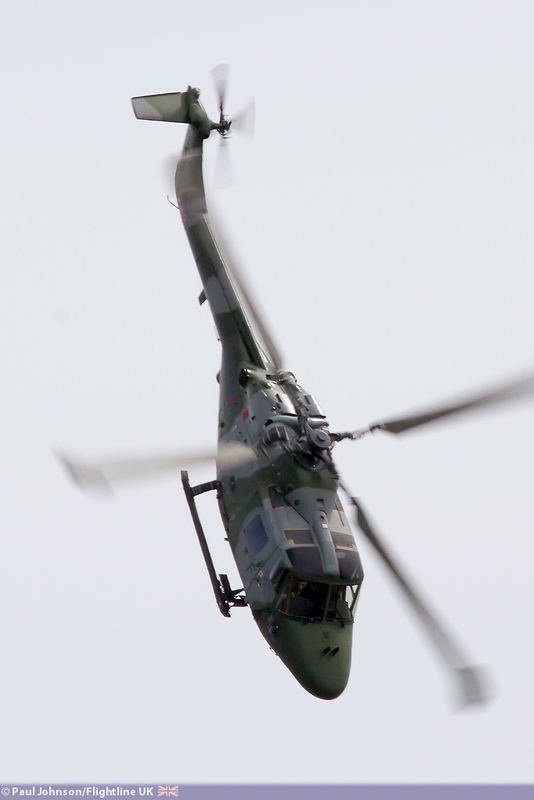 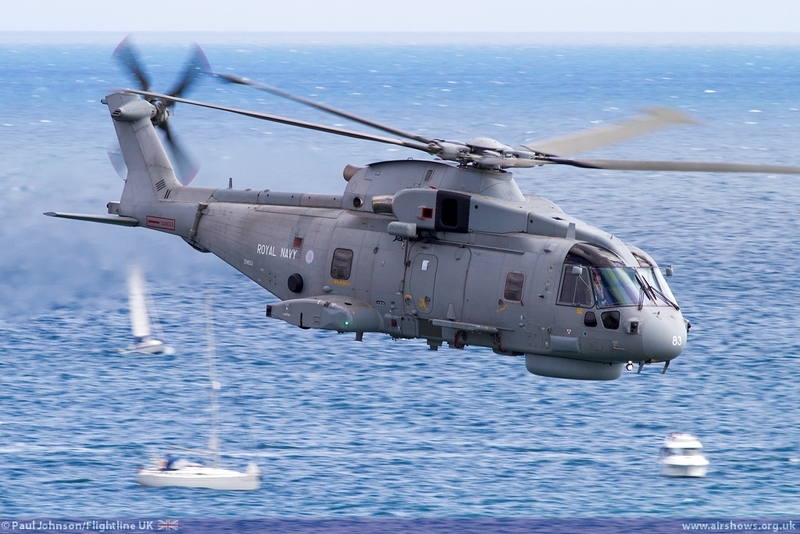 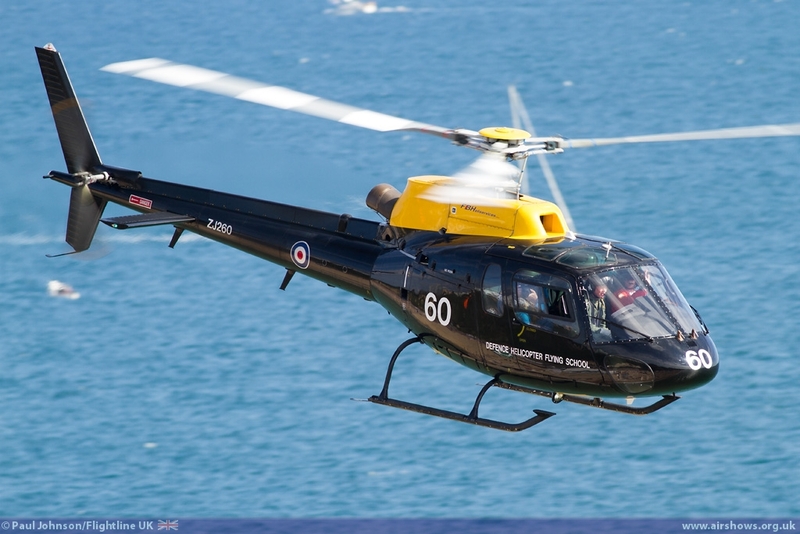 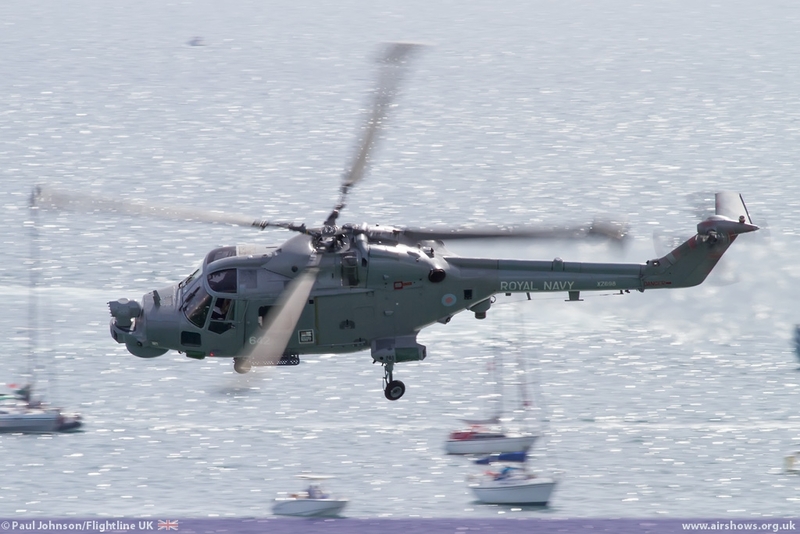 The Black Cats Helicopter Display Team provided their solo Westland Lynx HMA8 while RNAS Culdrose was represented by the AgustaWestland Merlin HM2. 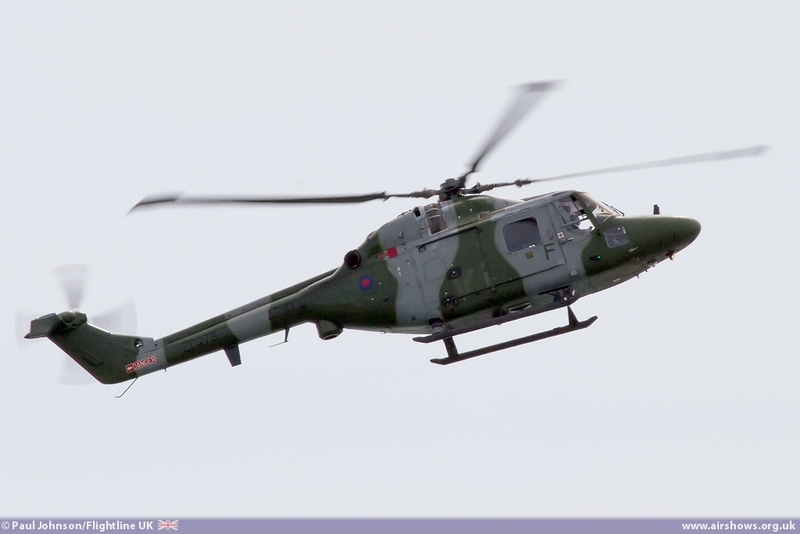 With the small fleet of Royal Navy vessels out to sea it made the perfect background to see the helicopters to display against. 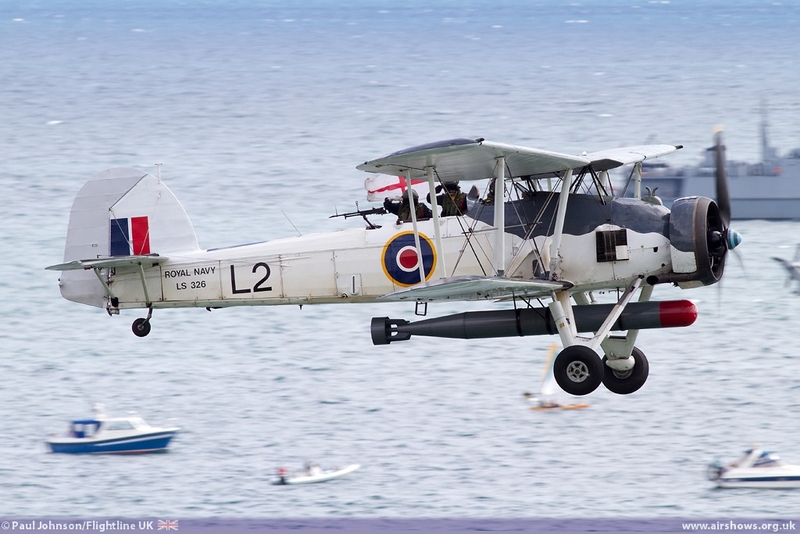 The Royal Navy Historic Flight also displayed the Fairey Swordfish for the first time at the event. 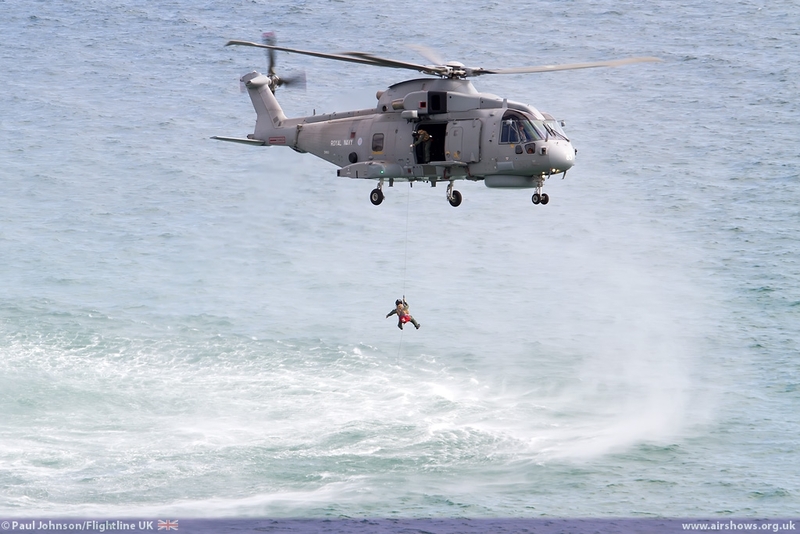 Friday, Saturday and Sunday also saw the ships combine with the might of the Royal Marines to present the traditional beach assault. 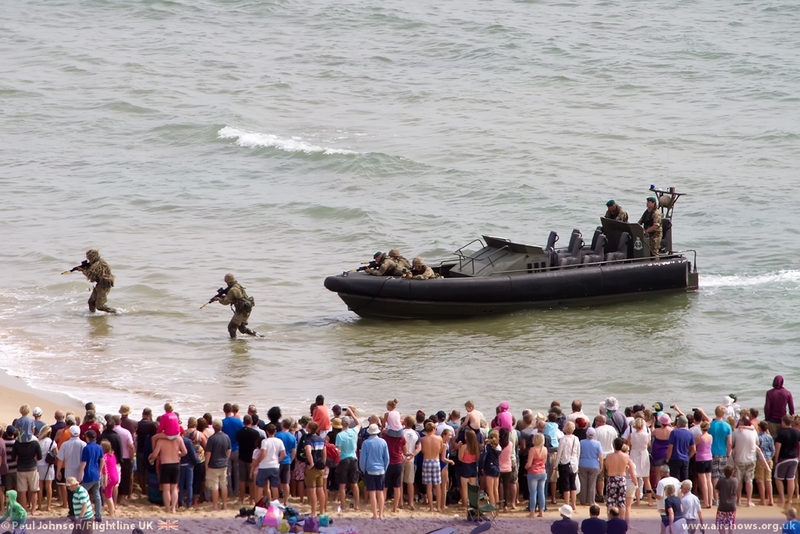 This year’s scenario saw a group of hostages rescued by the Marines coming ashore on their fast patrol boats and landing craft supporting by Viking armoured vehicles. In the air there was support by a AgustaWestland Merlin HM1 operating from the deck of the Northumberland. 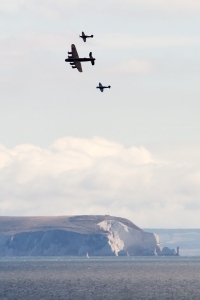 The British Army were also involved with the flying. 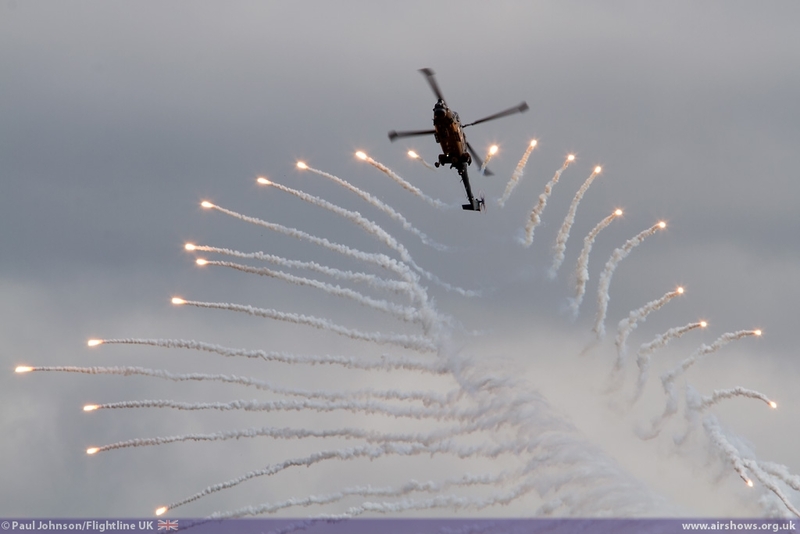 Jumping in on all four days were the Princess of Wales Royal Regiment Tigers Parachute Display Team while the Army Air Corps sent the aerobatic Westland Lynx AH7. 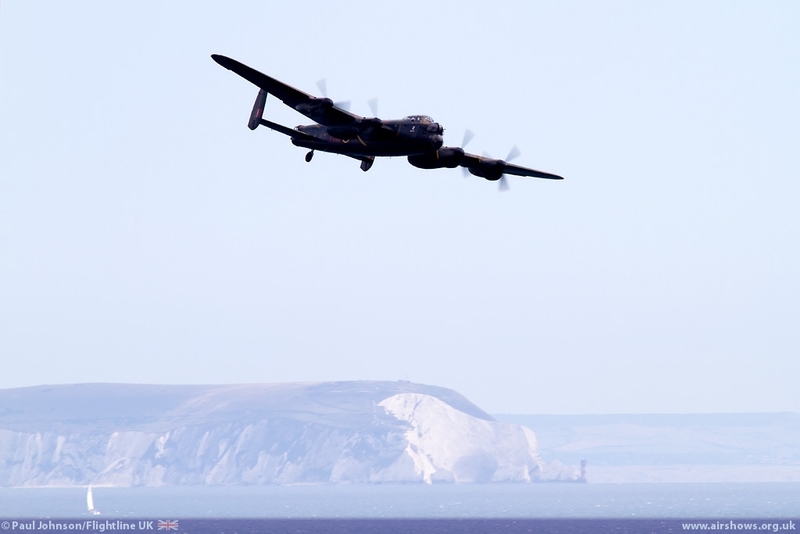 he Royal Air Force however provided the biggest contribution to the event. 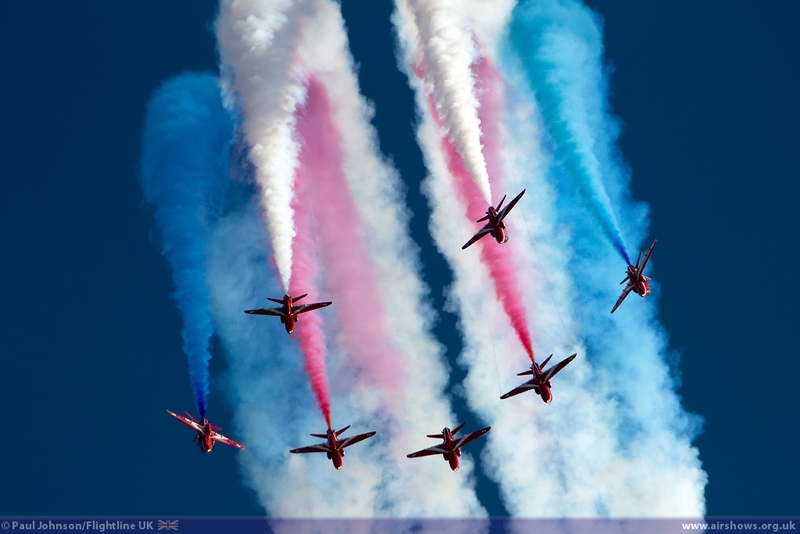 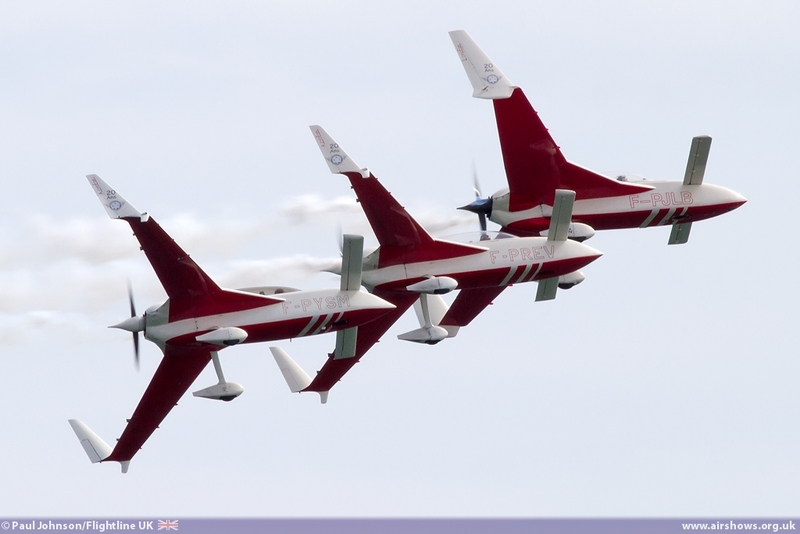 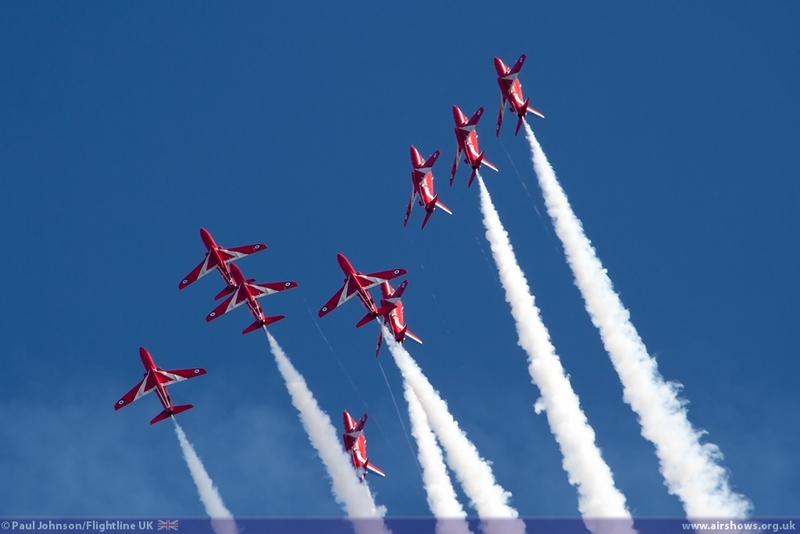 The first three days saw displays from the Red Arrows. 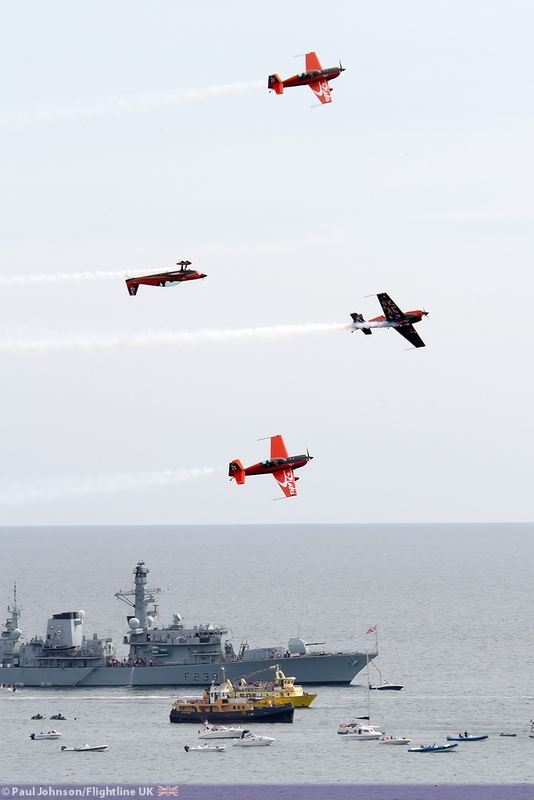 The team have a very special relationship with Bournemouth following events in 2011 and watching the team perform in front of the John Egging Memorial will always be emotive. 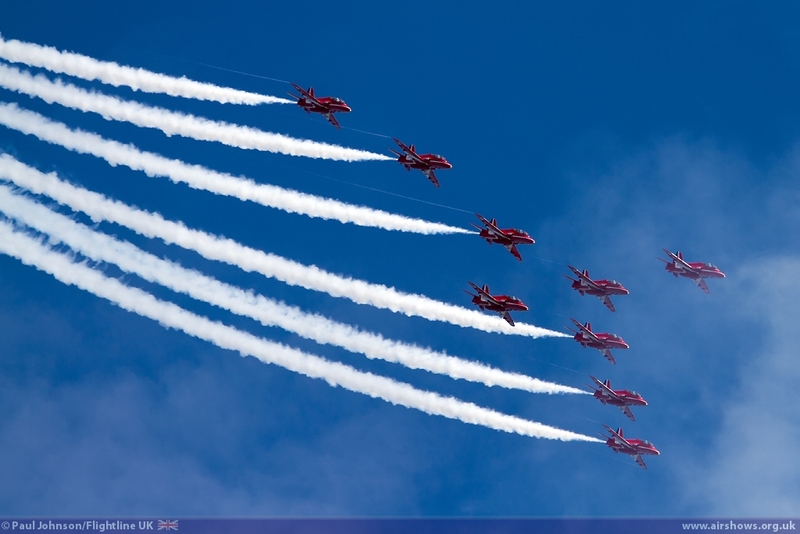 The crowds at Bournemouth too really appreciate the Red Arrows display like no other applauding every pass. Solo displays came from the Tucano T1 flown by Flt Lt Andrew Flyvie Rae, the Chinook HC2 flown by Flt Lt Paul Famer and his crew plus the Eurofighter Typhoon FGR4 with Flt Jamie Norris at the controls. 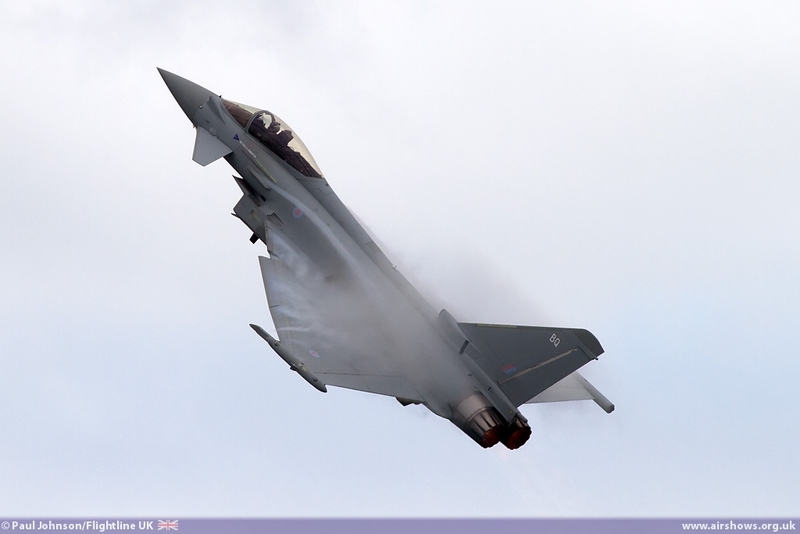 It was the Typhoon’s first visit for three year and it’s agility and power certainly left a lasting impression with the massive crowds. 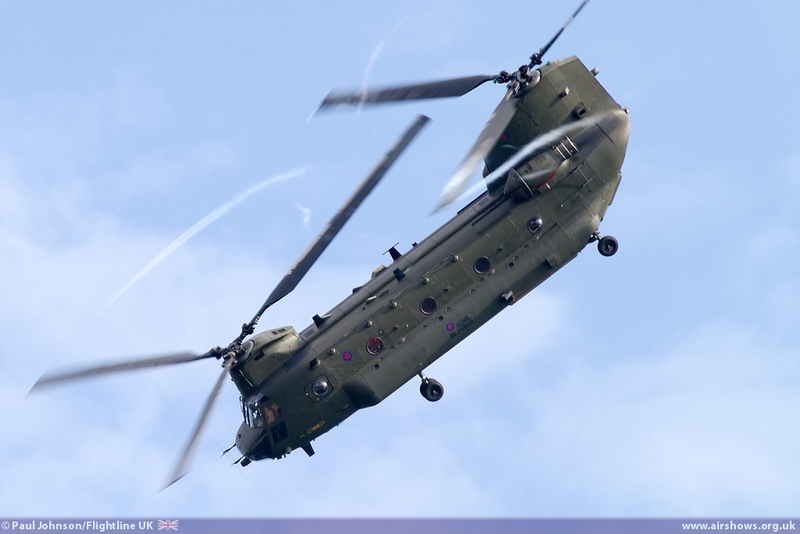 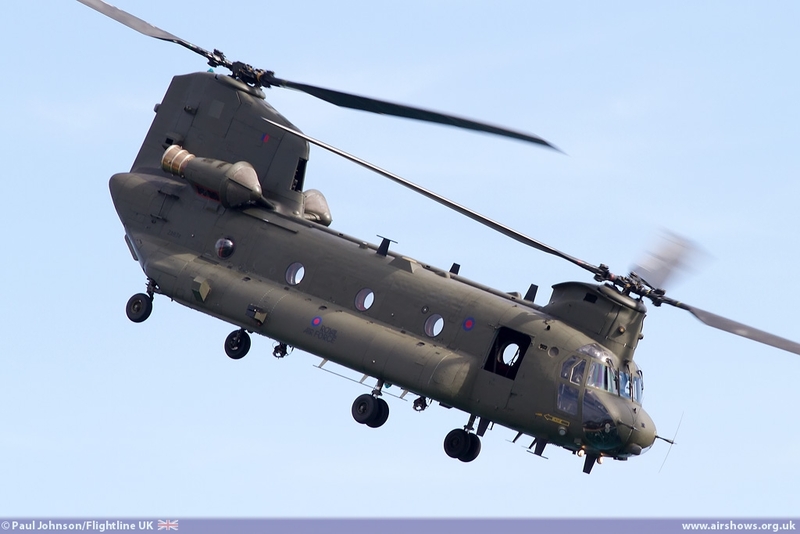 The Chinook’s appearance was notable as the three displays from Friday through to Sunday were the Chinook’s last commitment of the 2013 display season and Paul Farmer and his crew said farewell to the display circuit in fine style! 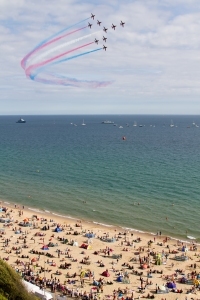 On the civilian side of the flying, it was good to see Bournemouth welcome some international participation in the form of Patrouille Reva from France. 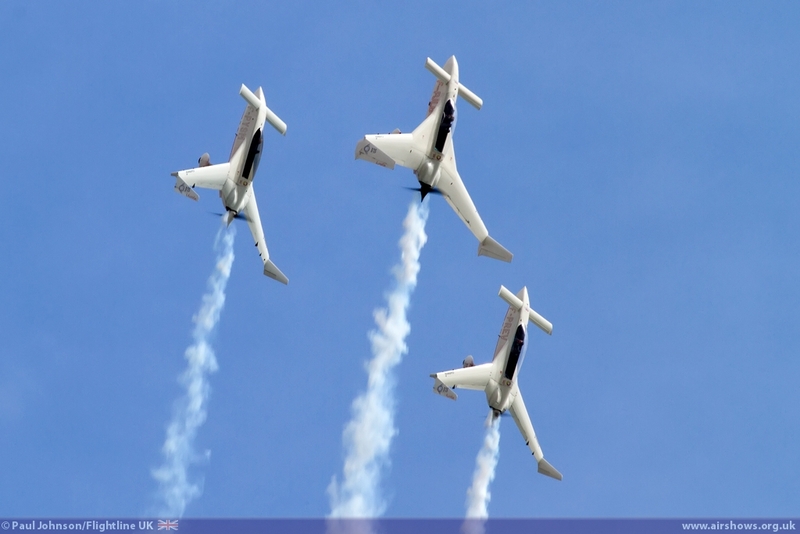 They are an unusual team flying modified Rutan Long-Ez and Vari-Ez homebuilt aircraft and they put on a lovely graceful formation display. 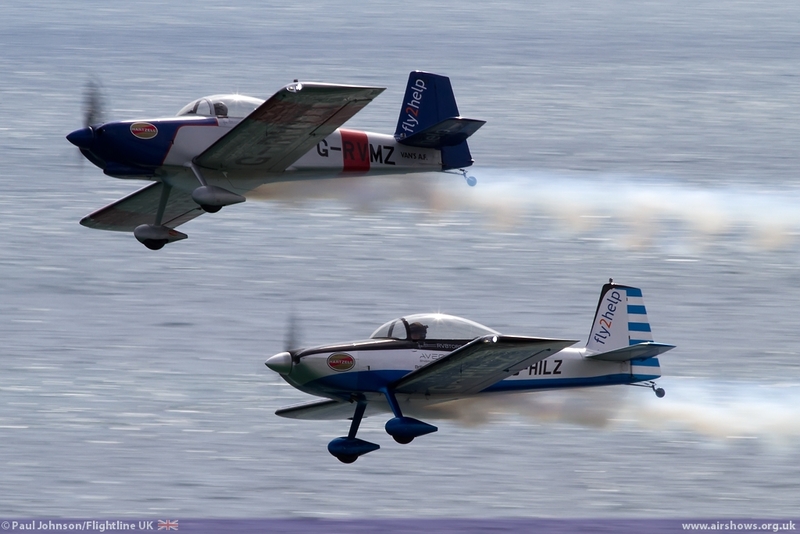 Amongst the other teams were the RV8tors performing just on the Thursday plus the Blades performing over the weekend. 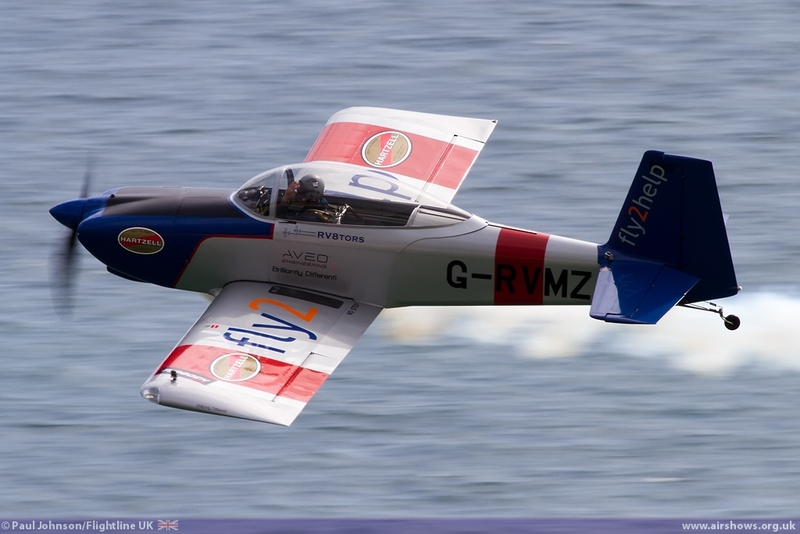 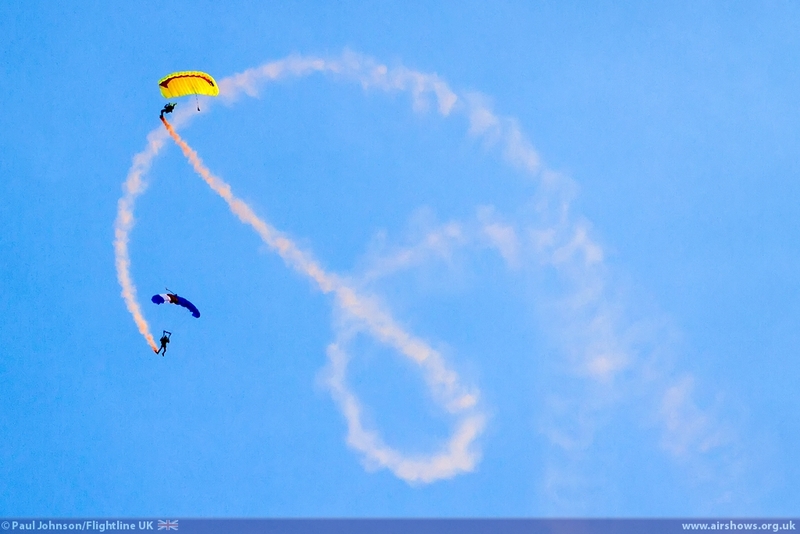 Gerald Cooper flew on all four days demonstrating some serious freestyle aerobatics in his Xtreme Air XA41. 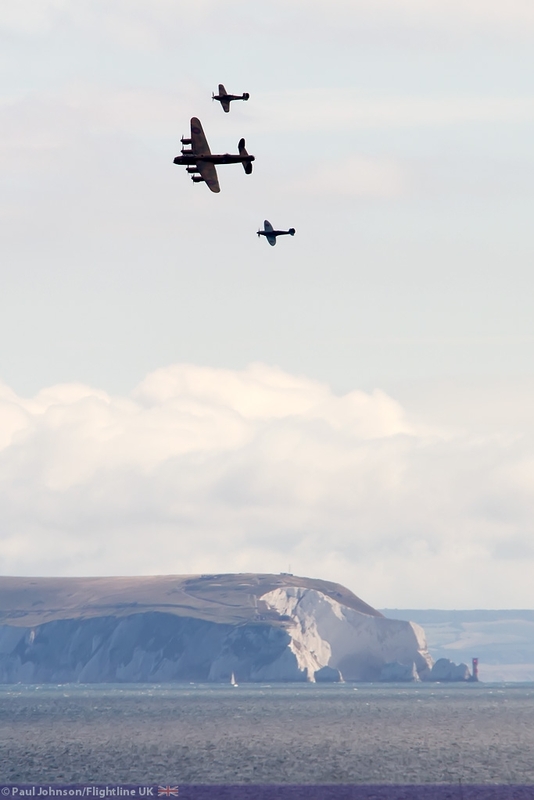 The selection of historic types was impressive this year. 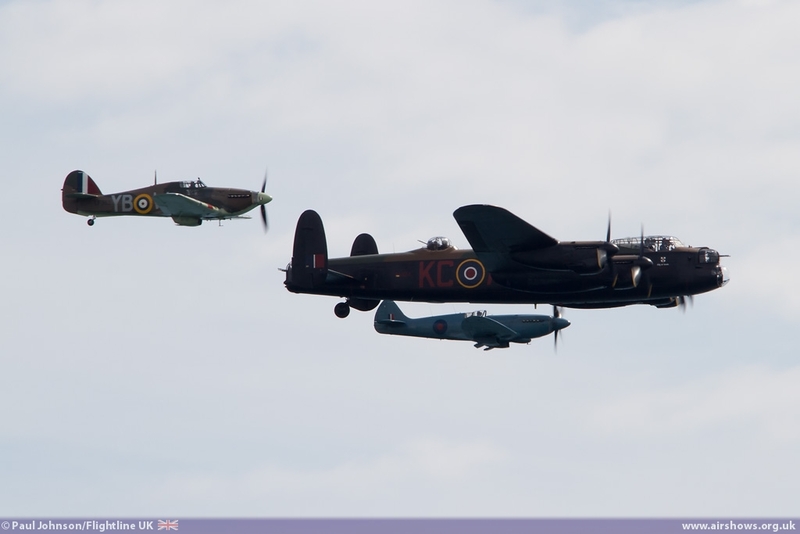 As well as the aforementioned Royal Navy Historic Flight, the RAF’s Battle of Britain Memorial Flight also participated on all four days with the Avro Lancaster B1, Supermarine Spitfire XIX and Hawker Hurricane IIc. 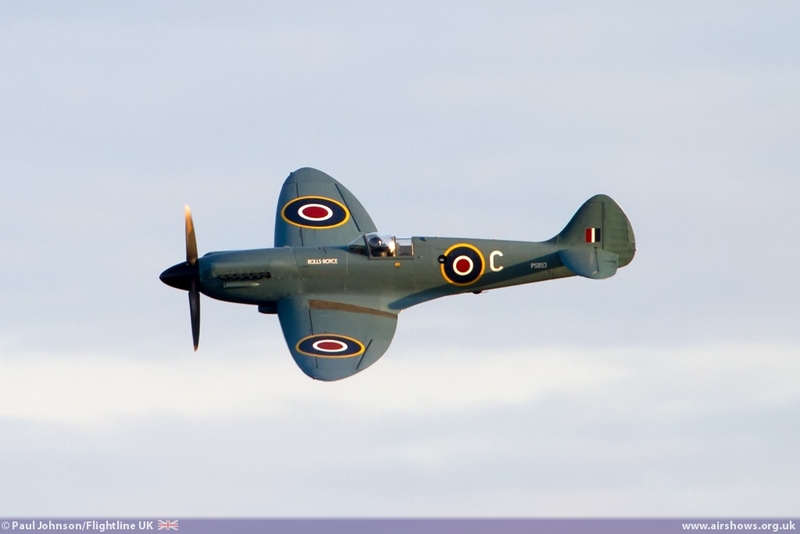 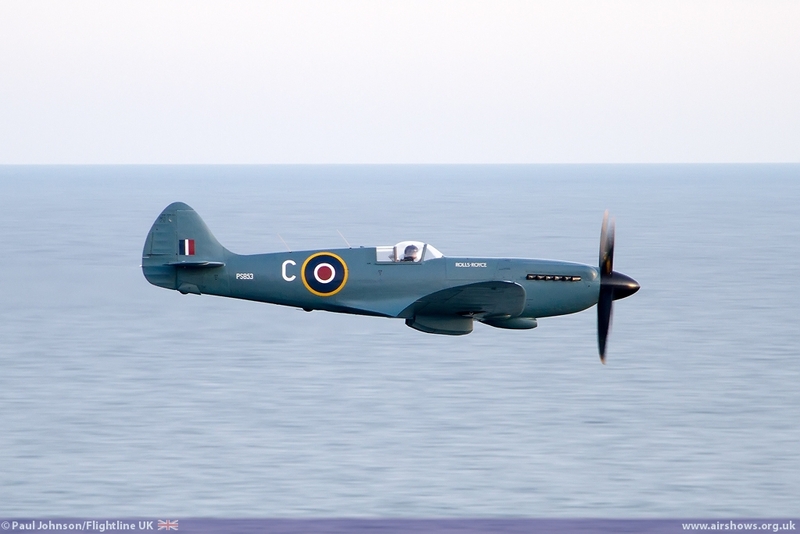 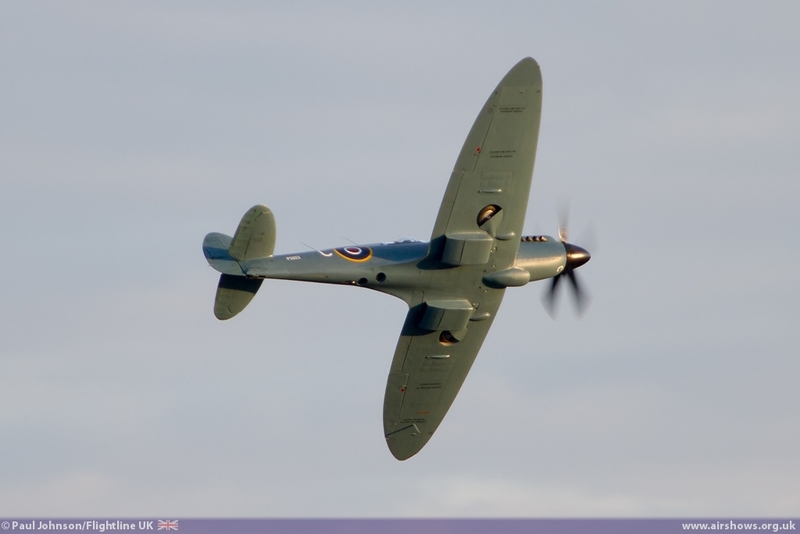 One of the flights former aircraft was also in the flying with Rolls Royce sending the recently overhauled Spitfire PR XIX PS853 to display over the four days. 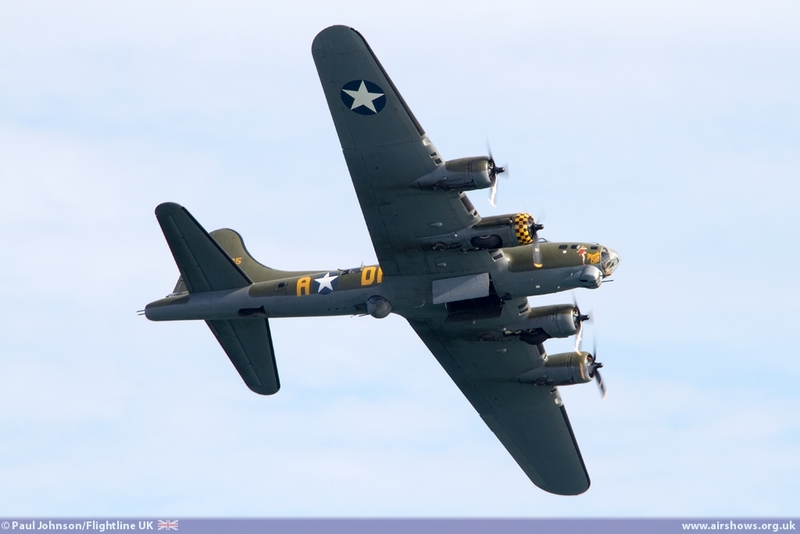 B-17G Flying Fortress Sally-B also flew over three days representing the United States Army Air Force contribution during the Second World War. 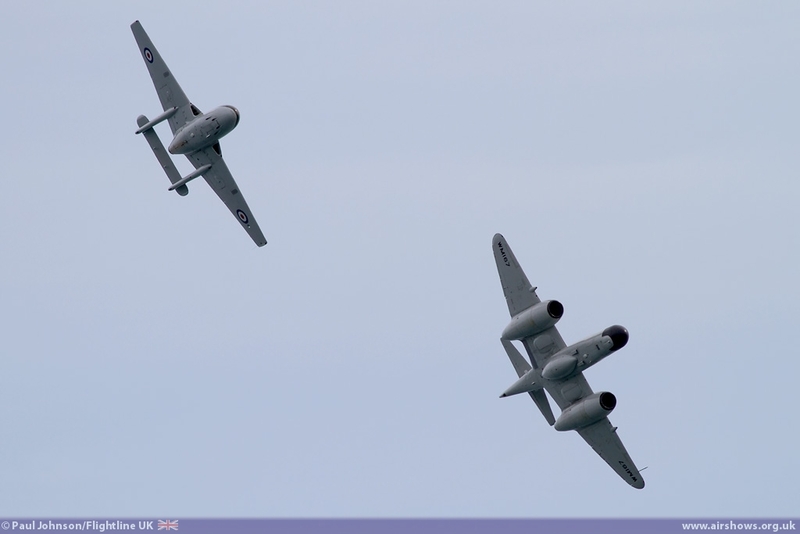 Bournemouth welcomed a superb collection of British jets. 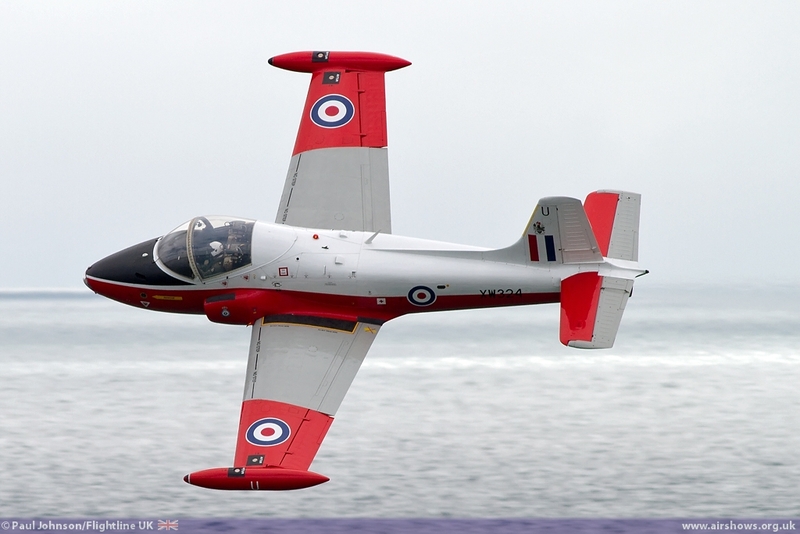 BAC Jet Provost T5 XW324 made its Air Festival debut and was displayed on all four days by Dan Arlett. 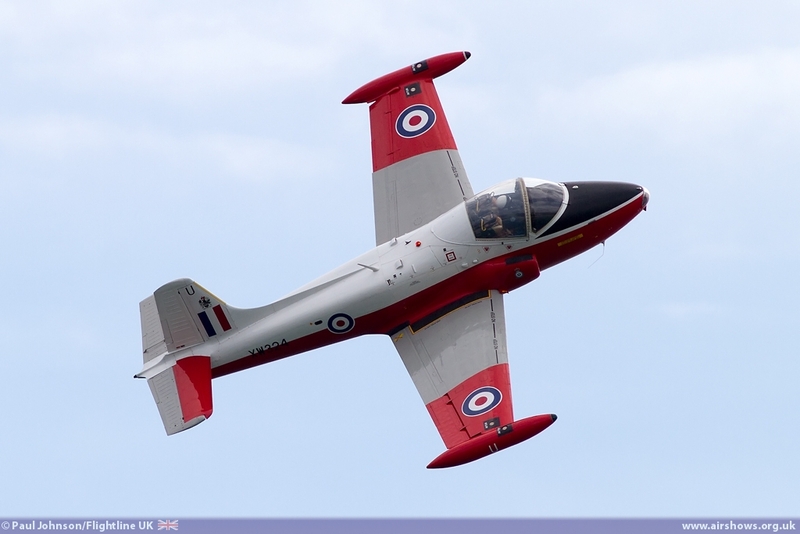 This jet is absolutely pristine in its traditional Red and White RAF training colours and Dan’s display routine shows the aircraft off very well. 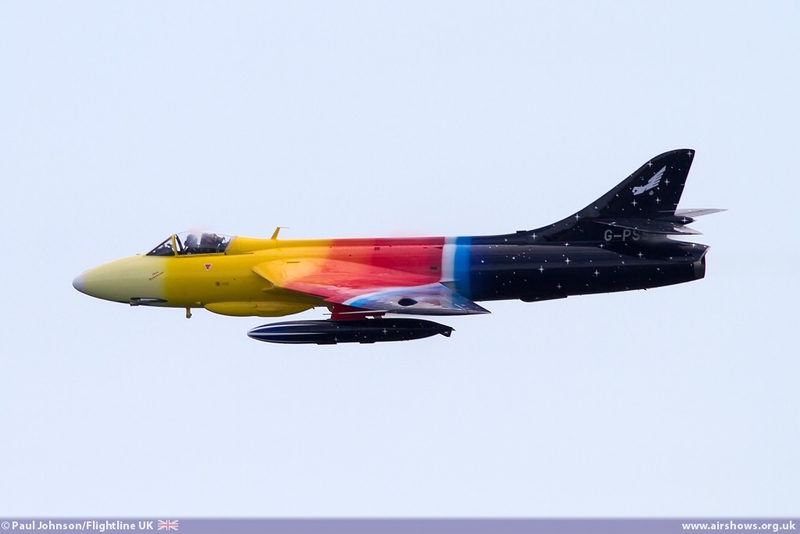 Another Air Festival favourite is Jonathon Whaley’s stunning Hawker Hunter Miss Demeanour. 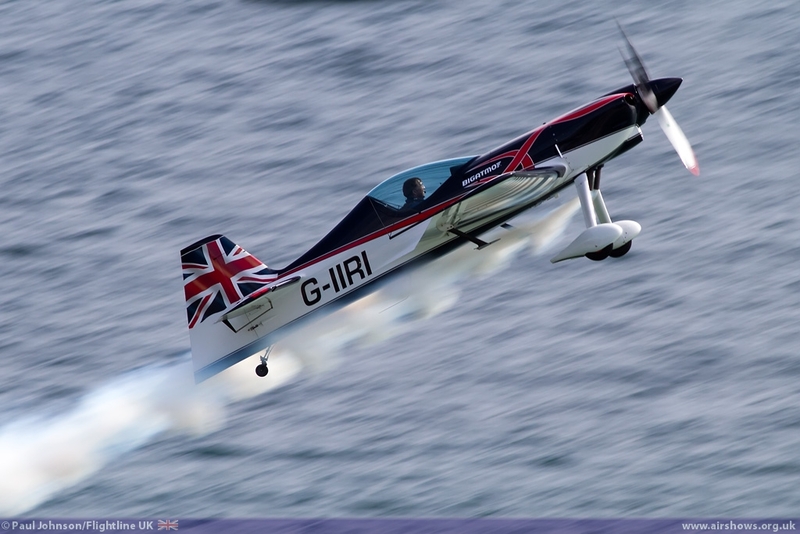 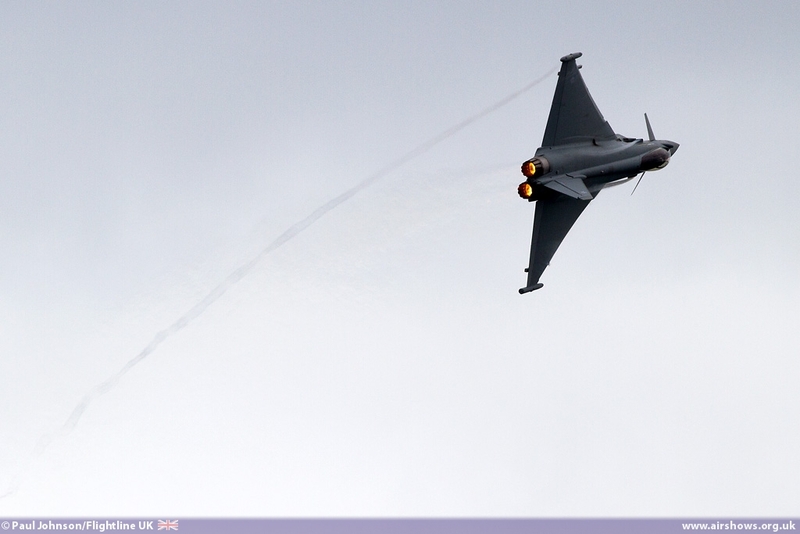 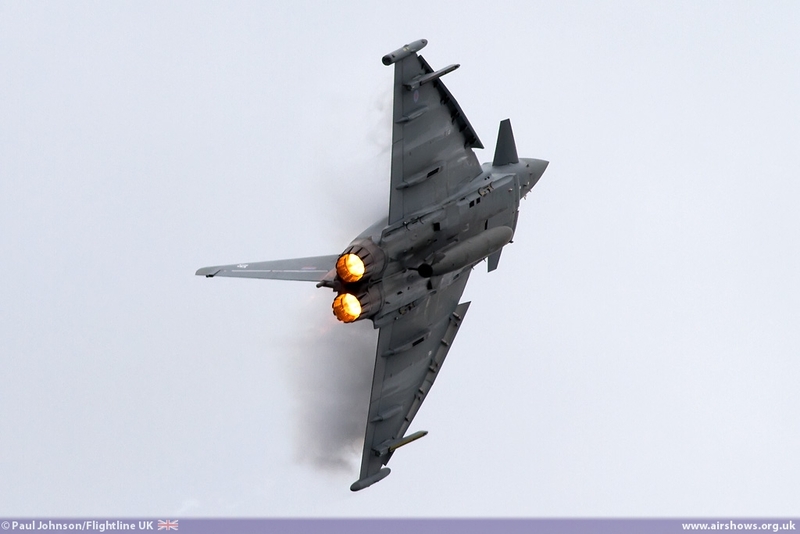 The aircraft always looks fantastic and Jonathon’s display is a great mix of fast and slow with plenty of noise. 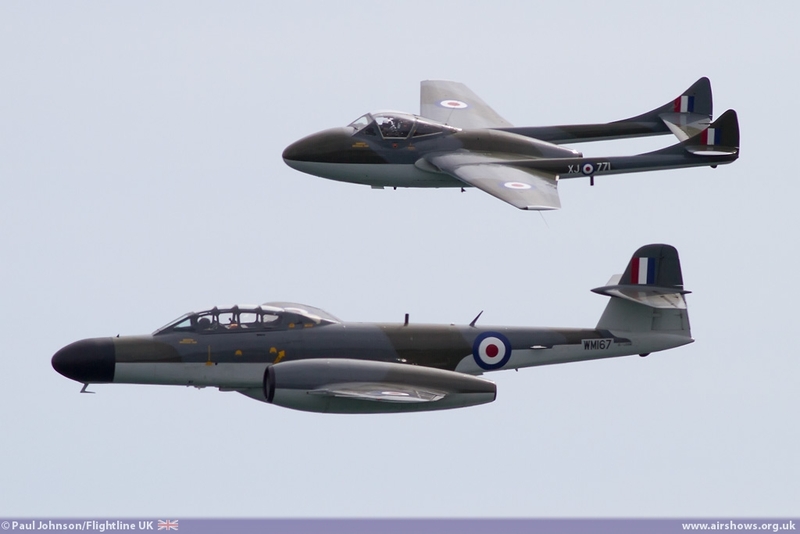 The weekend saw yet more “Best of British” jets join in with the Classic Air Force’s Gloster Meteor T7 and De Havilland Vampire T55 as well the Bournemouth based De Havilland Sea Vixen FAW2 from DS Aviation which appeared just on the Saturday evening. 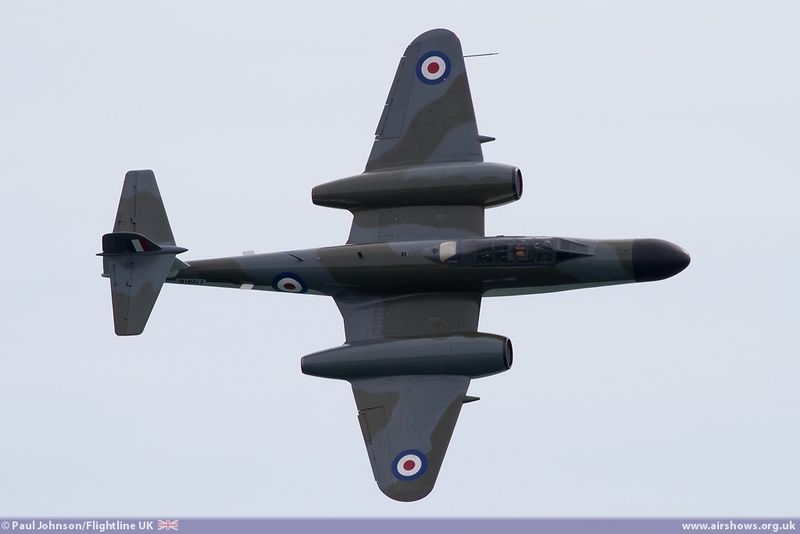 It had been hoped that Sunday would see the Hunter, Vampire, Meteor and Sea Vixen all form up with the Vulcan XH558 for what would have been a truly memorable formation. 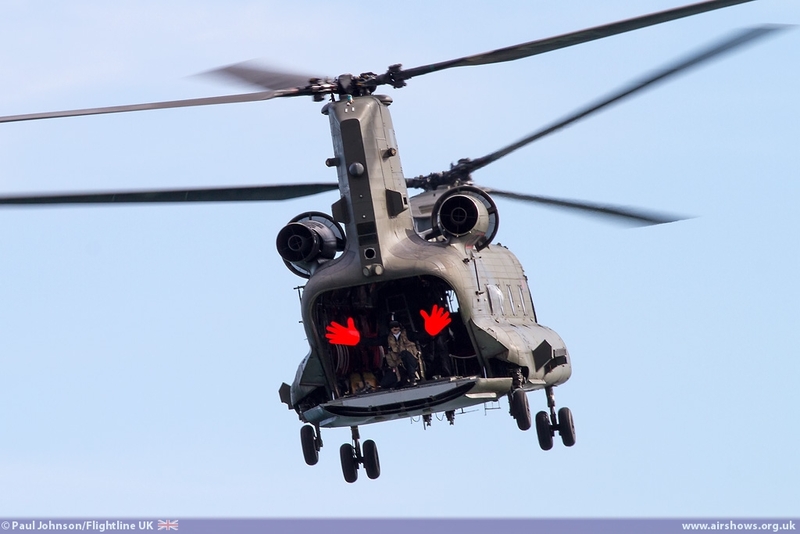 Sadly it was not to be. 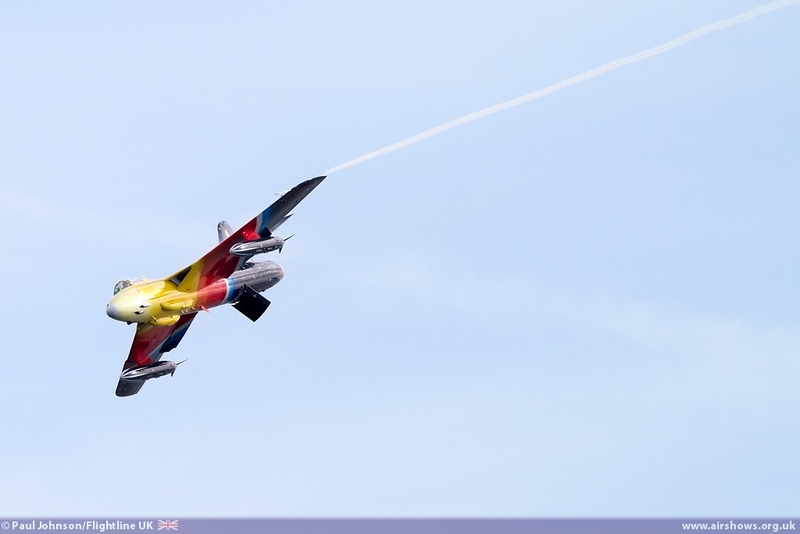 XH558 was forced to cancel her appearance following the discovery of a fuel leak. 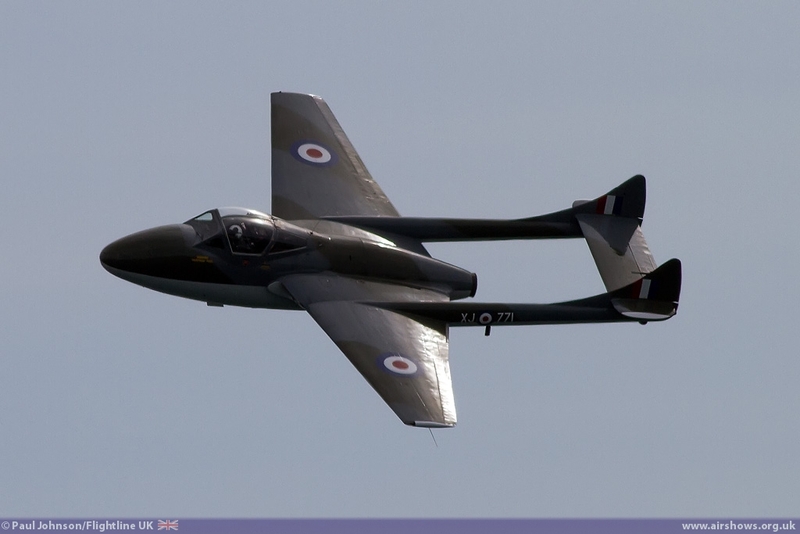 Then the Vampire suffered a technical issue during its earlier solo display and finally the Sea Vixen pilot was called away at the last moment. 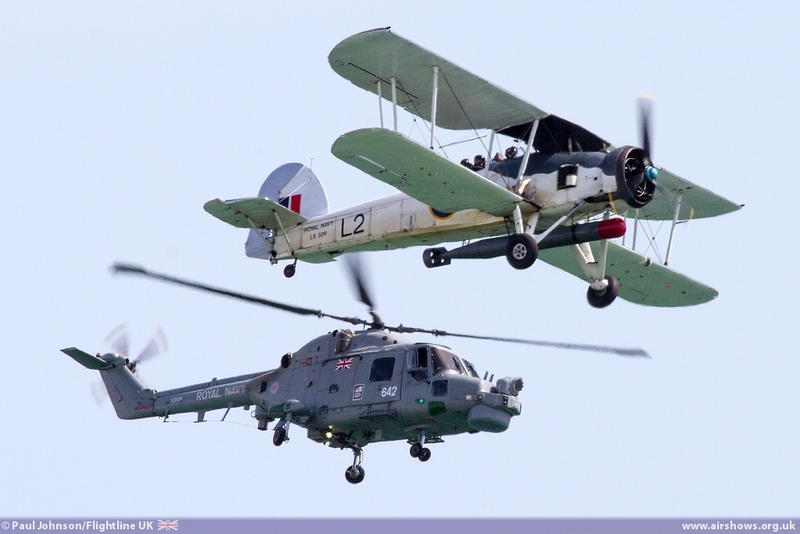 That just left Jonathon Whaley to close Sunday’s event flying low over the Navy warships as they fired a seven gun salute to close the Festival. 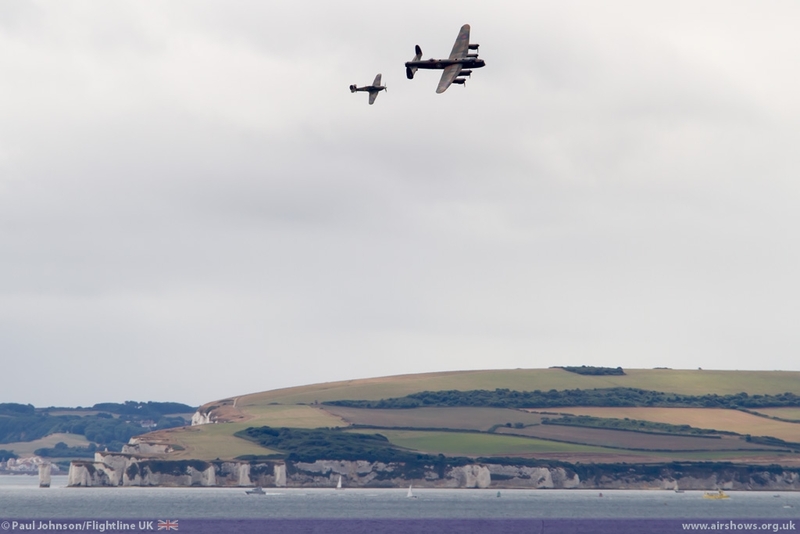 I sincerely hope this does not put off the Air Festival team from trying to mount such a spectacle in the future as it is just another aspect of the event which makes it such a joy to visit. 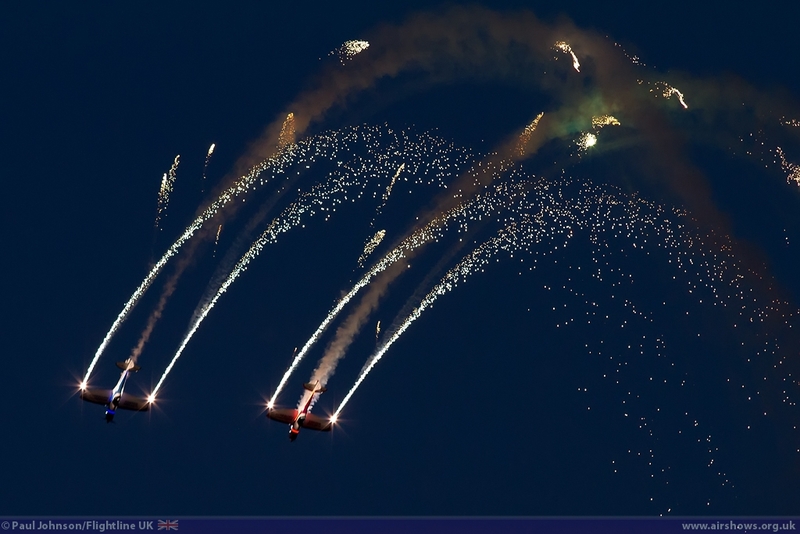 However, it is the “Night Air Displays” that really set Bournemouth apart. 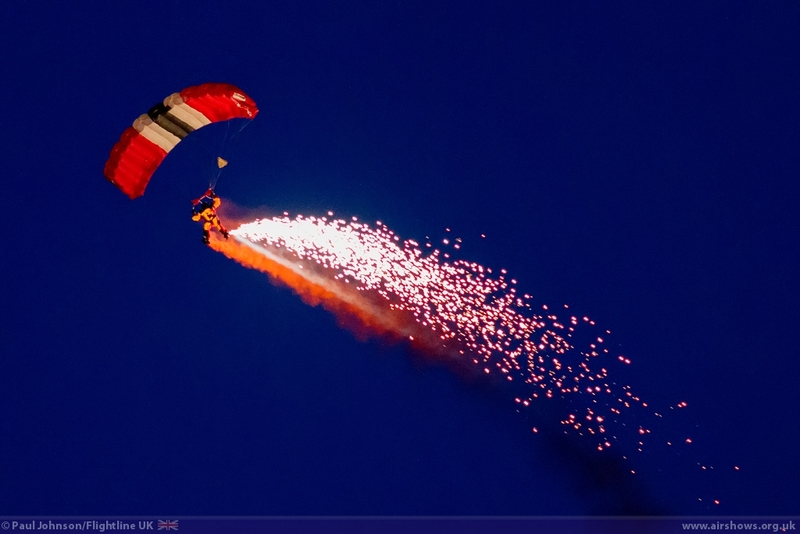 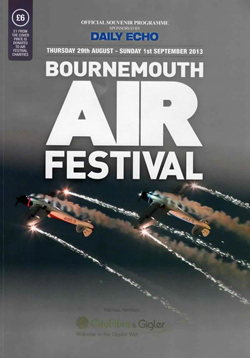 “Night Air” encompasses a wide range of entertainment held around Bournemouth. 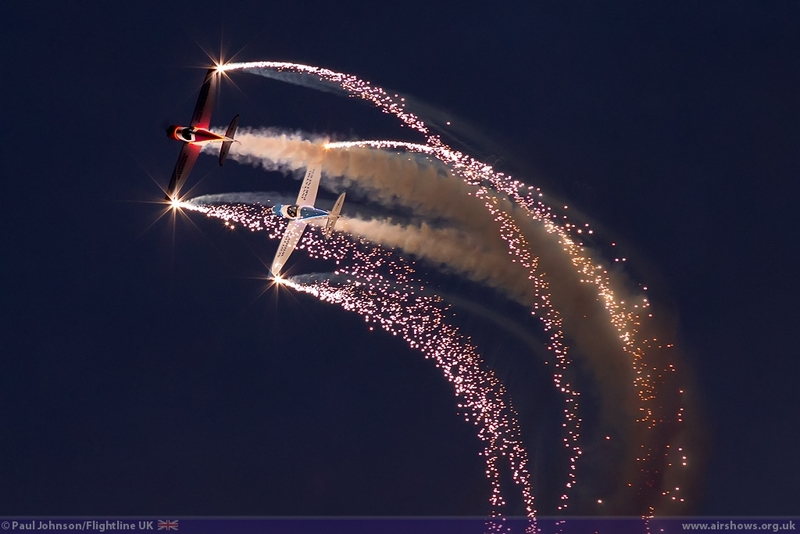 Each night there are major concerts and beach parties held at either end of the beaches. 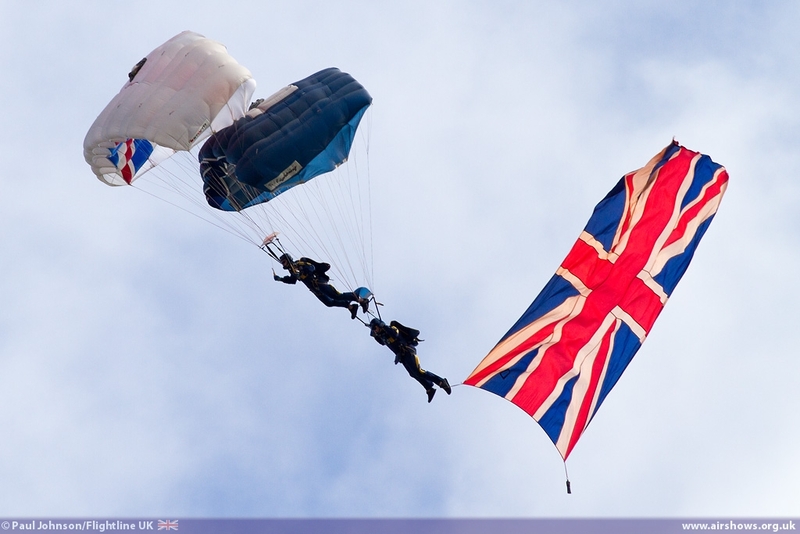 There are also displays by the band of the Royal Marines at East Overcliff. 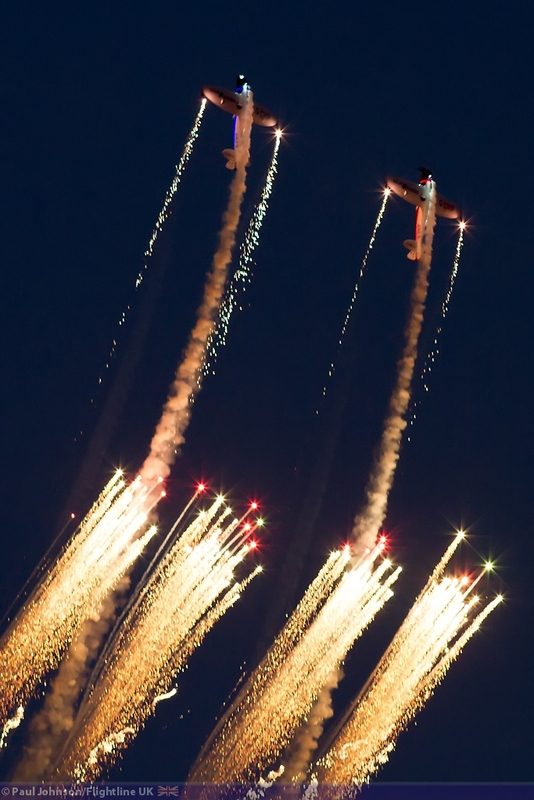 2013 saw the flying elements of Night Air expanded to three nights such is the popularity of this element of the Bournemouth Air Festival. 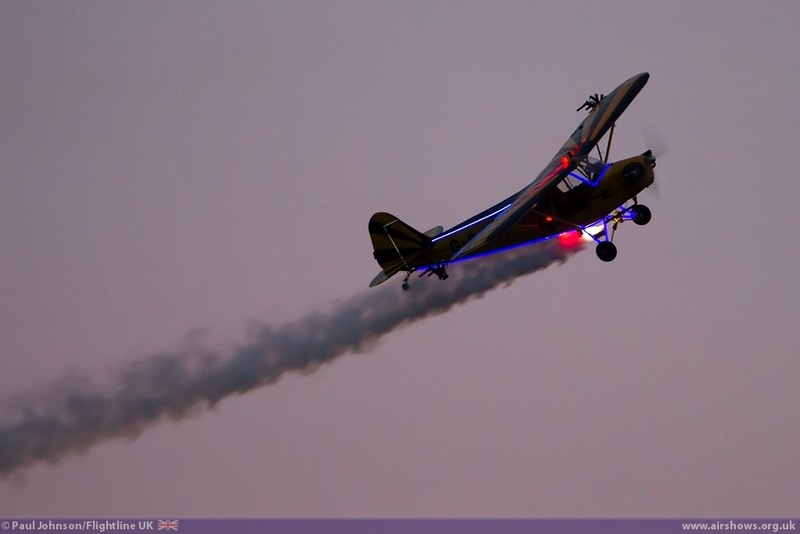 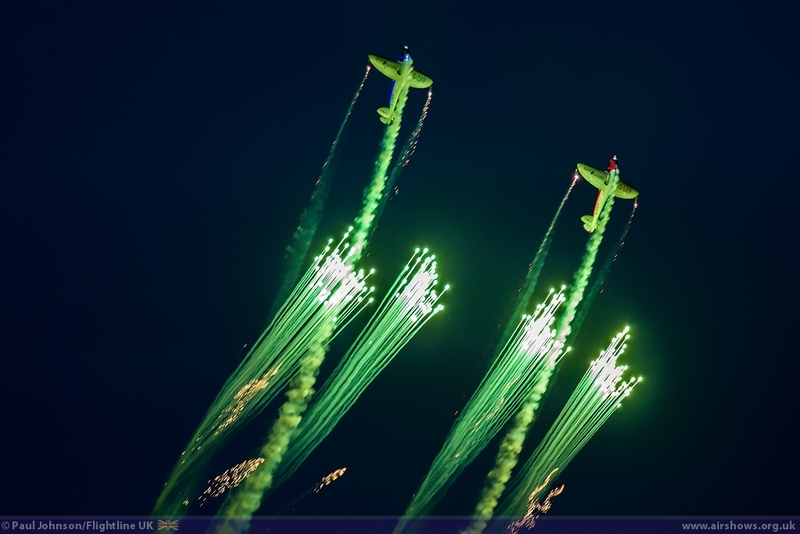 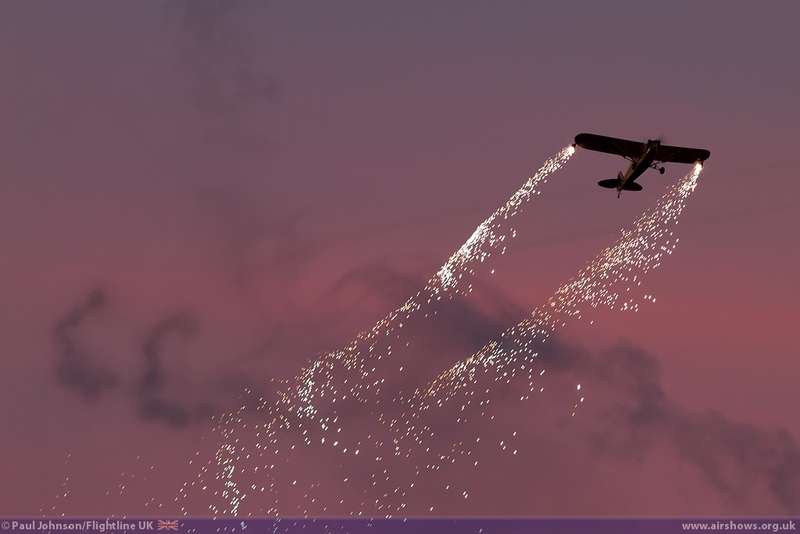 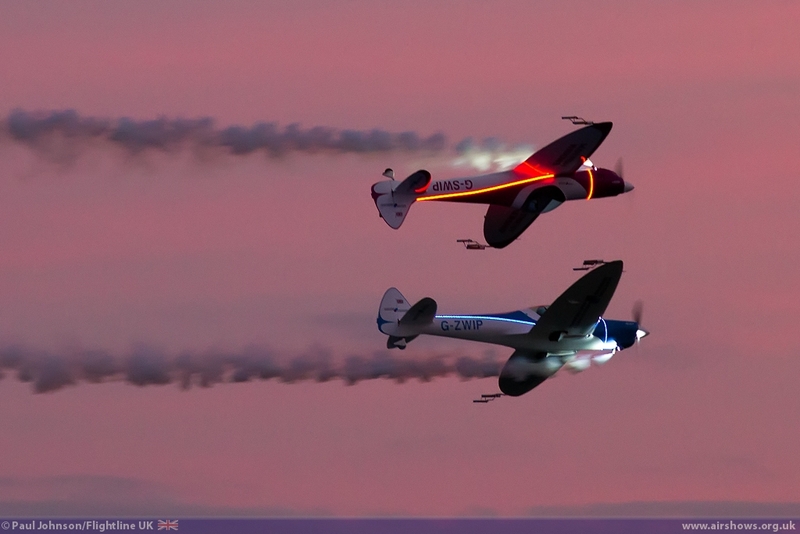 Brendan O’Brien’s Piper J3C display is not something you immediately think of for a seaside display. 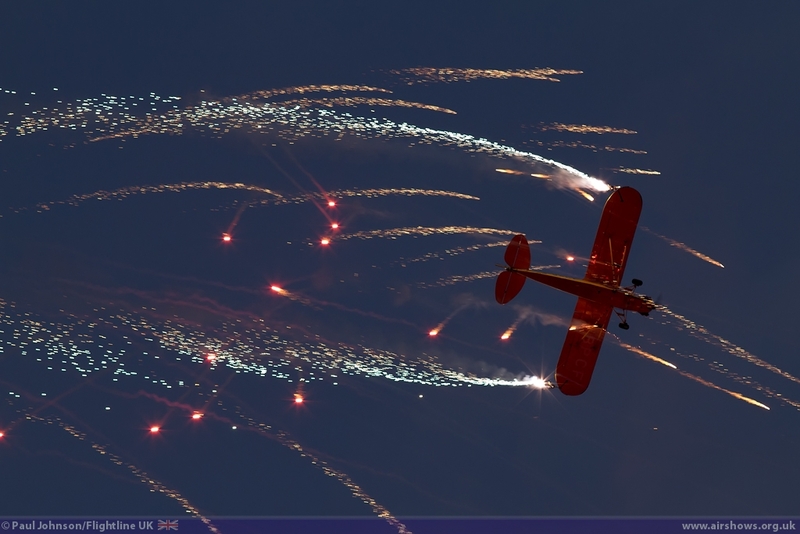 However Brendan has modified his Cub with a range of lighting effects and racks for pyrotechnics. 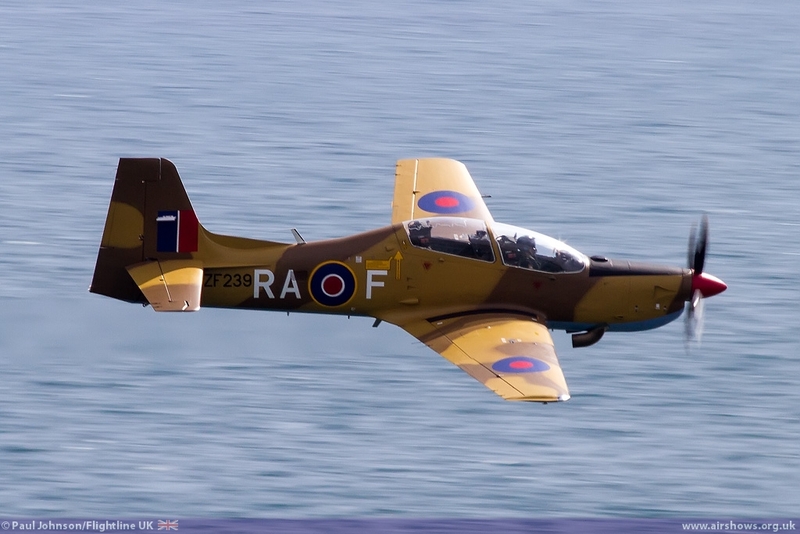 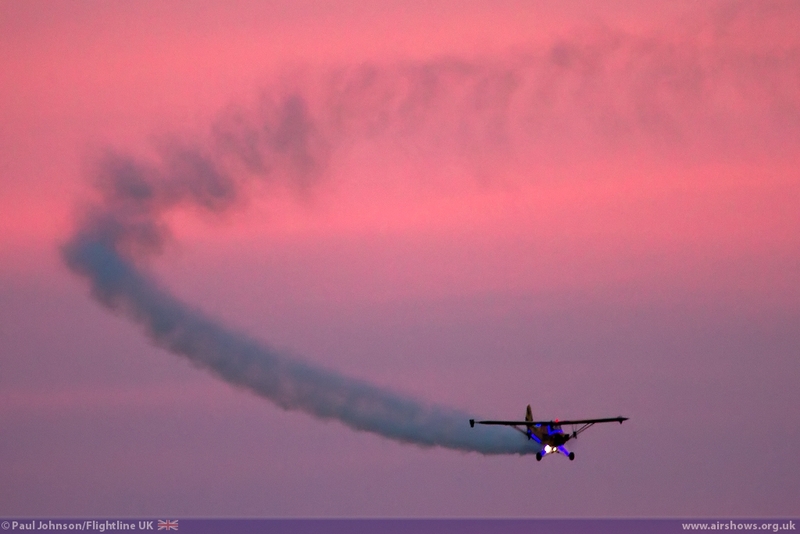 2013 saw even more pyrotechnics fitted to his Cub as his rocked and bunted his way around the Bournemouth skies. 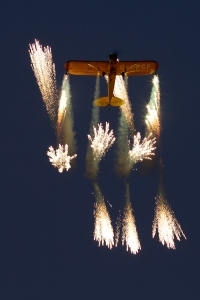 The SWIP Team have become the image of Night Air with the pair of Twisters streaming fountains of pyrotechnics from their wingtips. 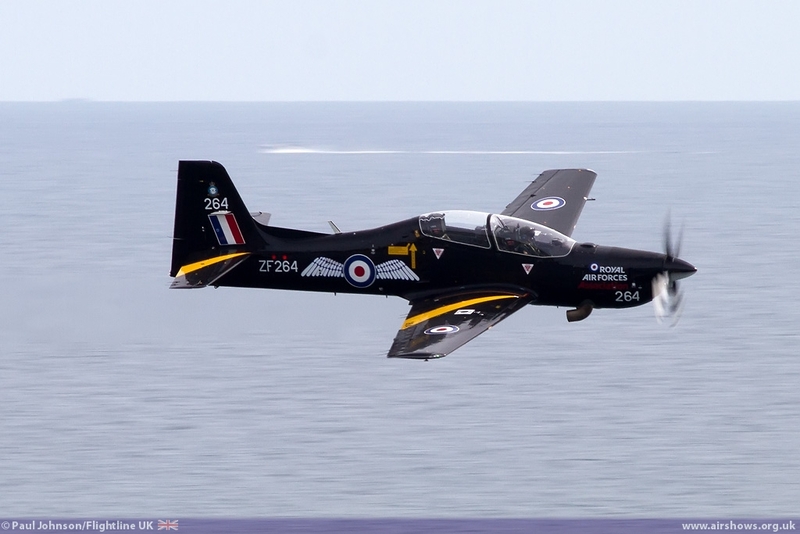 They even featured on the Air Festival programme cover this year and Thursday and Friday saw them perform their traditional solo display. 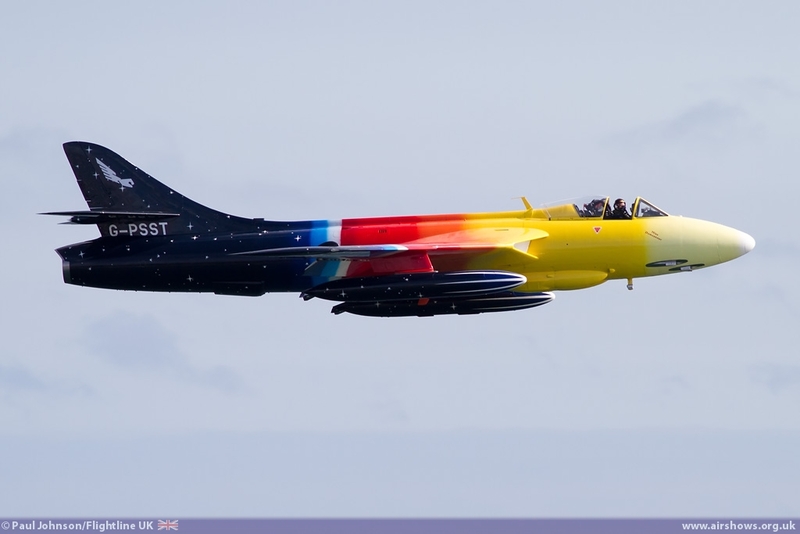 Sadly they were unable to display on Saturday night due to prior commitments for the duo and the third aircraft being unserviceable. Instead Saturday’s display was closed by the GliderFX team using their MDM-1 Fox glider as a launch platform for colourful finale to the evening aircraft displays. 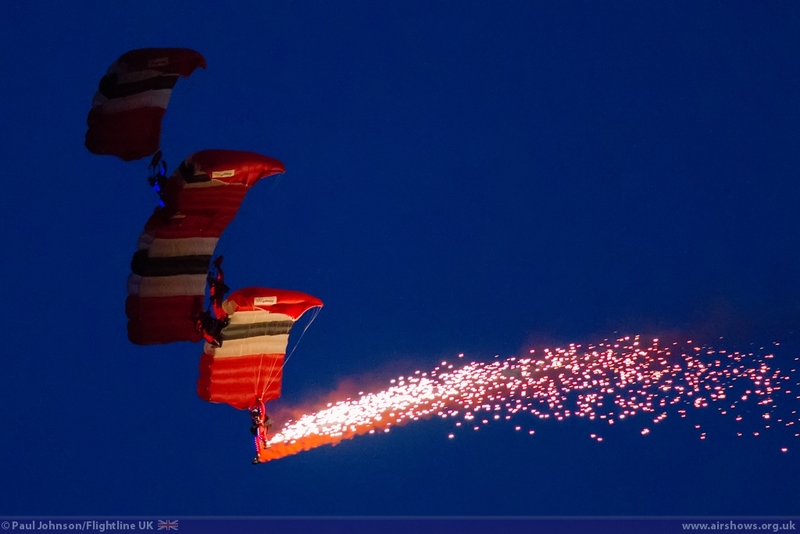 Closing the Night Air displays this year were the Parachute Regiment’s Red Devils. 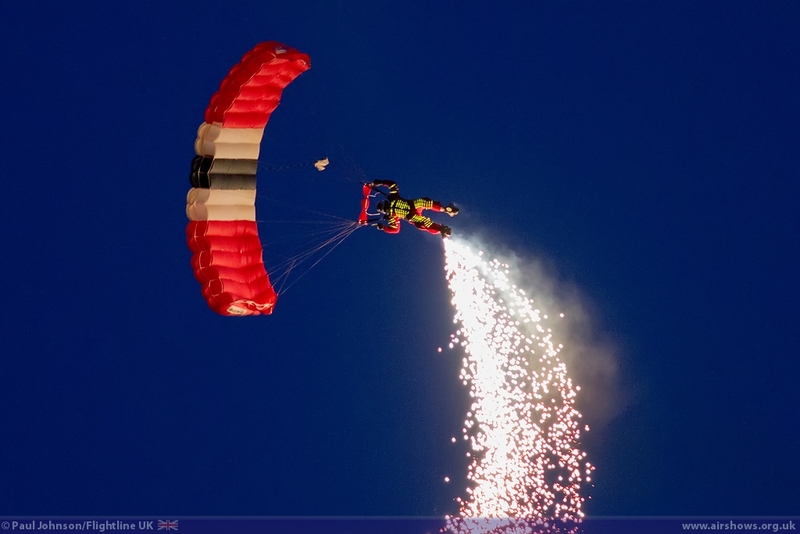 Not only did they jump at night with glow sticks attached to their suits, they also had pyrotechnics attached to their feet providing a wonderful finale to each day! 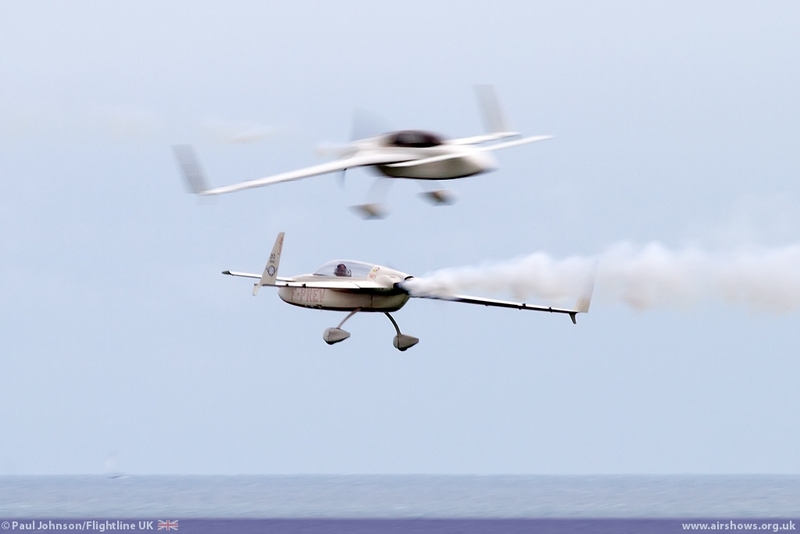 Few shows can match the atmosphere or experience of the Bournemouth Air Festival which is 2013 provided a very unique and entertaining four days of action on the Dorset Coast. 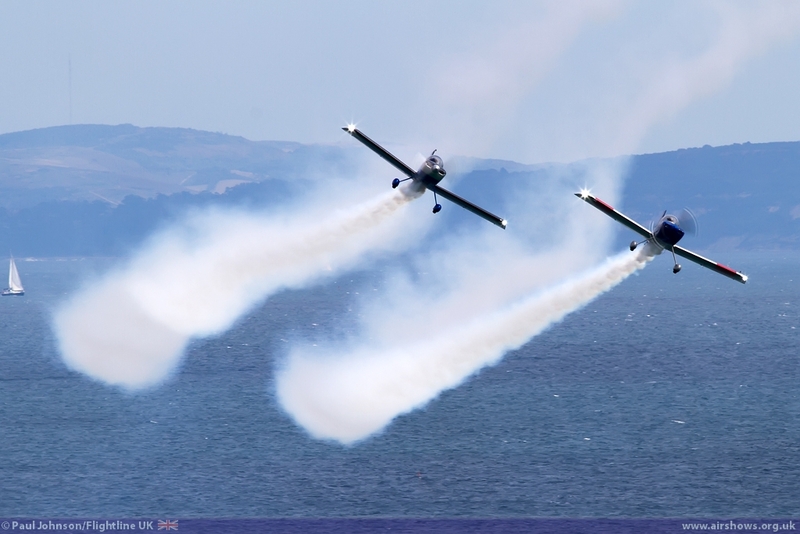 Hopefully the pace of development of the Air Festival will continue to keep it as fresh and exciting for years to come!